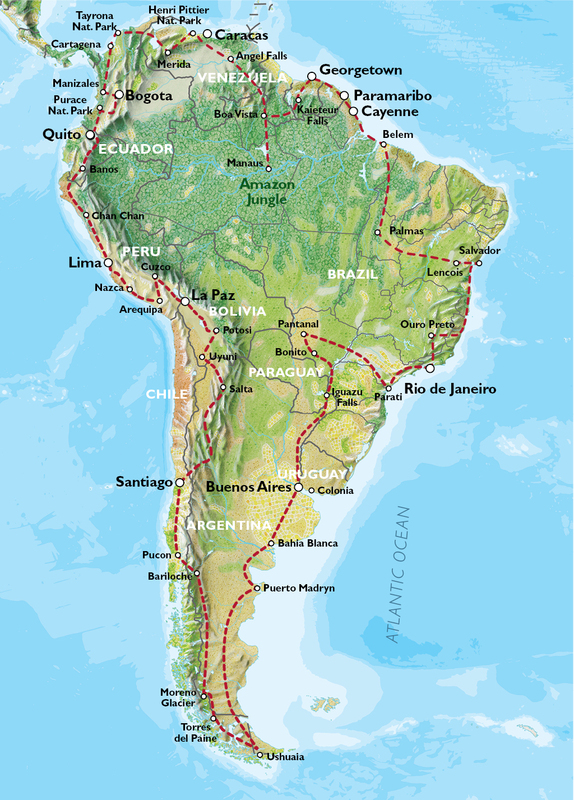 After 8 months of overlanding in South America, I felt that my next winter trip should be somewhere a little closer to home. Even though I’ve recently spent 4 years travelling in Europe, visiting the large cities was always going to be a problem in a motorhome, so I generally avoided them. 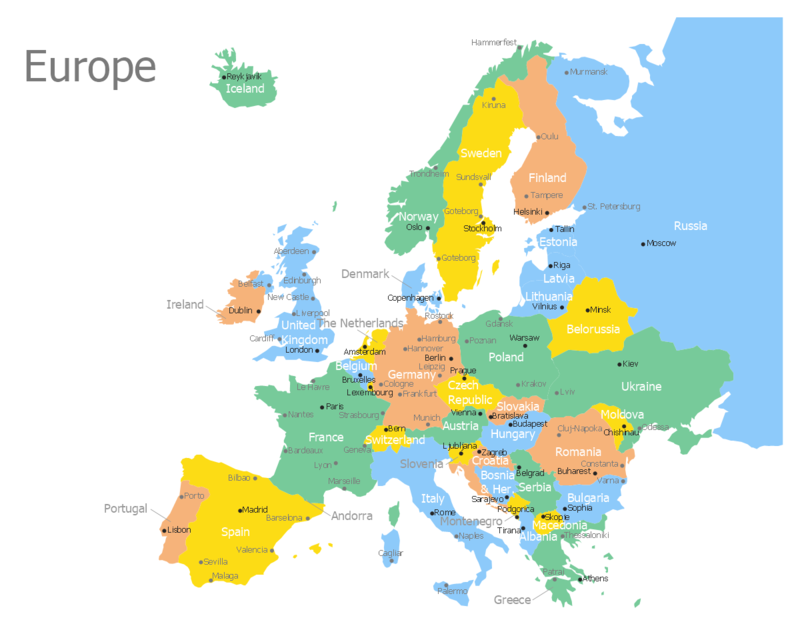 Now, I’ve decided to rectify that by travelling to Krakow and Warsaw (Poland), Madrid (Spain), Berlin (Germany), Budapest (Hungary) and Vienna (Austria), spending a week in each one to explore every inch of the city. As usual, I will be looking out for interesting, unusual and quirky sights, as well as tasting all the local specialities on offer. This entry was posted in Uncategorized on December 28, 2018 by A Nomad. After 4 wonderful winters travelling around Europe in my motorhome, I have set my sights further afield for 2017/2018. At Easter, I sold Trixie (my faithful and reliable motorhome) in order to fund a 7 month tour of South America. She is now helping a lovely lady from Lymington and her dog to explore the European Continent. Whilst in Europe I travelled on my own, this time I will be touring with a group of like-minded travellers in a huge overland truck. There will also be two crew members who will be worrying about which road to take, where we will spend the night and what we should eat for dinner, allowing me to relax, enjoy the views out the window and write about my experiences. 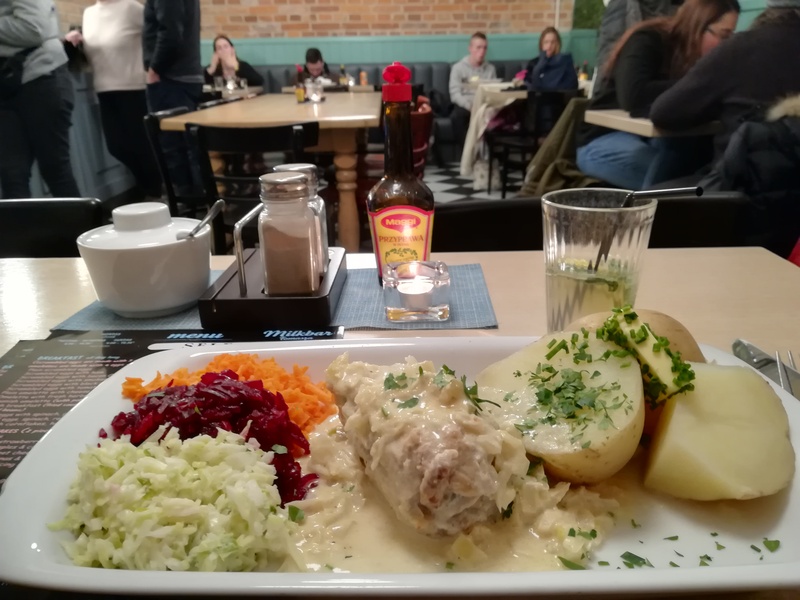 As usual, I will be writing about the unusual places I visit, the interesting people I meet and the delicious food I try. This entry was posted in Uncategorized and tagged South America, South American Nomad, southamericanomad on September 11, 2017 by A Nomad. 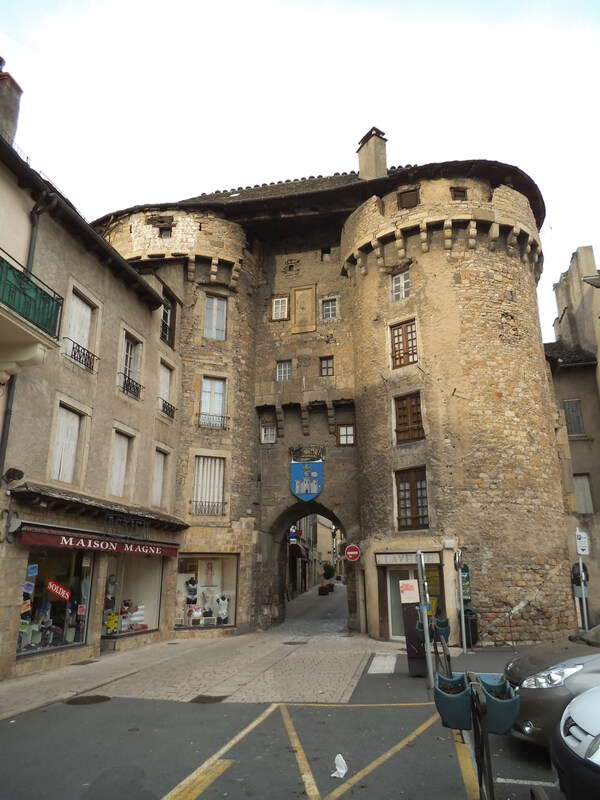 My journey back through France takes me north on the A75 Mediterranean Motorway past many places that I have already visited: Roquefort, Brioude, Issoire and Vichy. 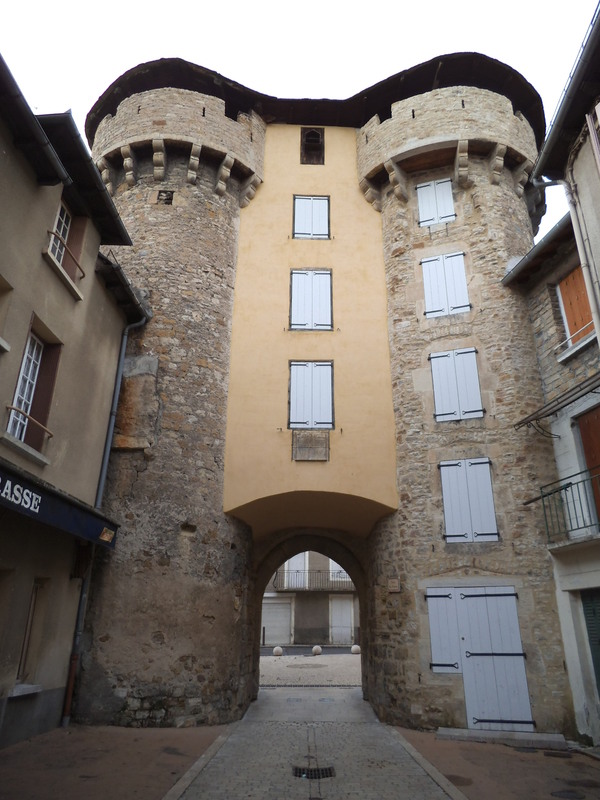 This year I stop at the town of Marvejols, once a Royal borough and the capital of the Gévaudan. 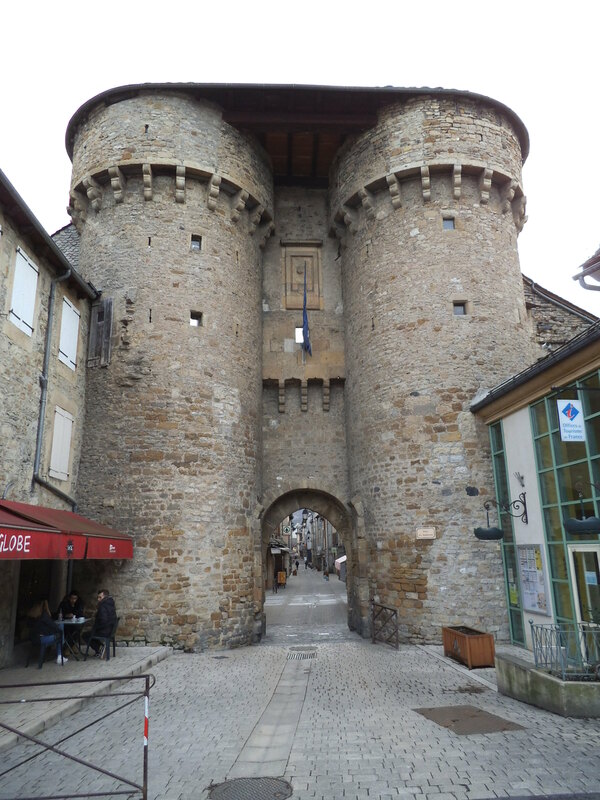 The town was fortified during the Hundred Years War but later, during the 16th century, much of the town was destroyed when the Catholics, led by the Duke of Joyeuse, massacred the protestant population, burned their homes and destroyed the fortifications. 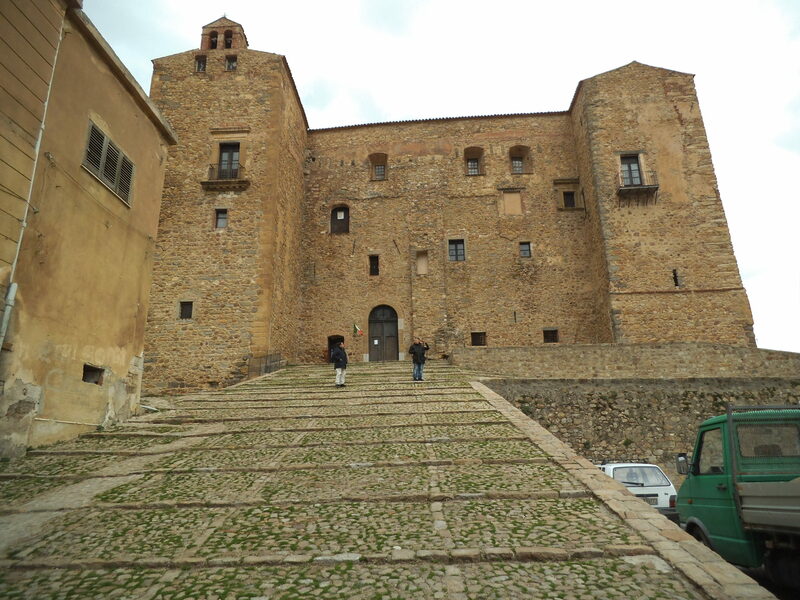 Henry of Navarre, who later became King Henry IV, stepped in to save Marvejols, rebuilding much of the town, including the three main gateways. 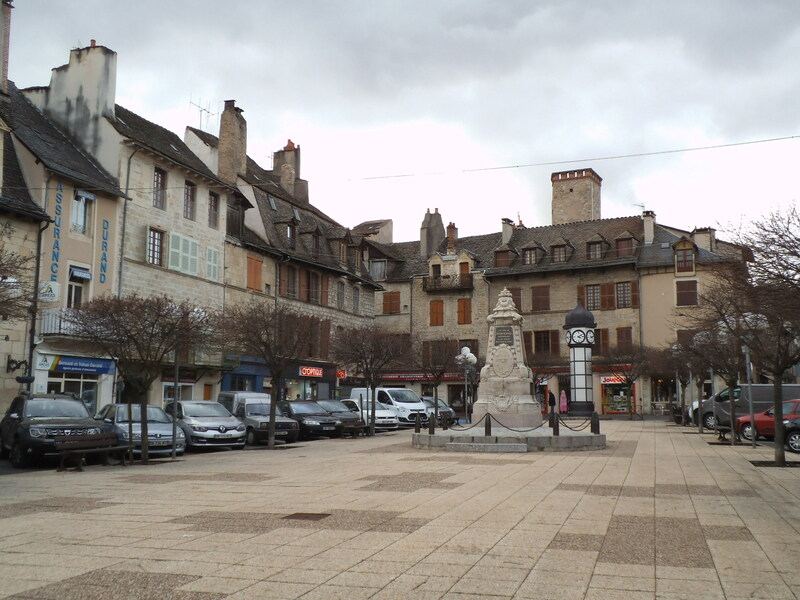 The former province of Gévaudan is synonymous with a terrible tale of the Beast of Gévaudan. Not some mysterious myth but a real story of terror which took place between 1764 and 1767. Research of historical records show that the ‘beast’ may have killed up to 100 people as it hunted throughout an area of about 80 square kilometres. Witnesses who survived attacks described it as being similar to a wolf, but as large as a calf and with red hair. Some people have speculated that it may have been an escaped exotic animal such as a lion or hyena and the attacks do seem similar to man-eating lion accounts from Africa. The first recorded attack was of a young woman tending cattle in the Mercoire forest in the summer of 1764 and the first fatal victim took place soon after when 14-year-old Janne Boulet was killed near the village of Les Hubacs. The attacks continued throughout the year, victims being mostly lone men, women and children tending livestock in the forests around Gévaudan. On January 12, 1765, Jacques Portefaix and some friends were attacked by the Beast but managed to drive it away. 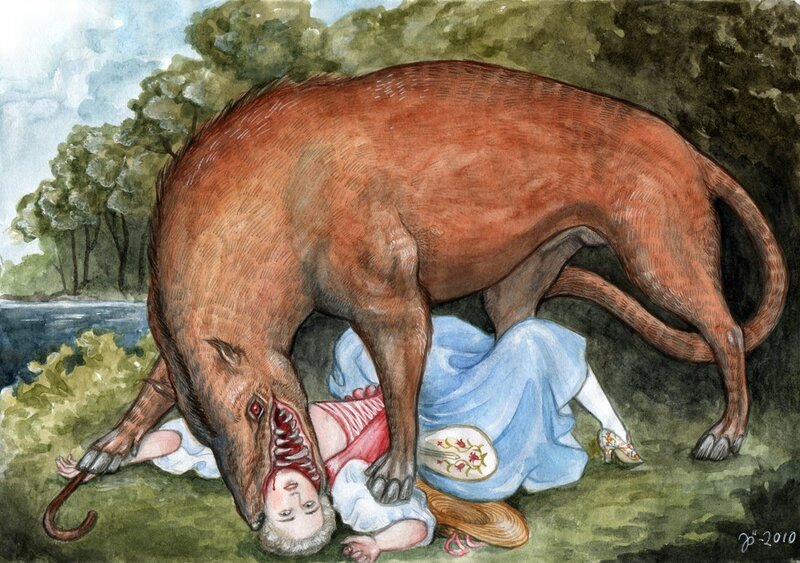 Louis XV heard about this and compensated the men, declaring that the French state would help find and kill the beast. Two professional wolf-hunters, Jean Charles Marc Antoine Vaumesle d’Enneval and his son Jean-François, were sent to Gévaudan. They arrived on February 17, 1765, with bloodhounds trained in wolf-hunting. 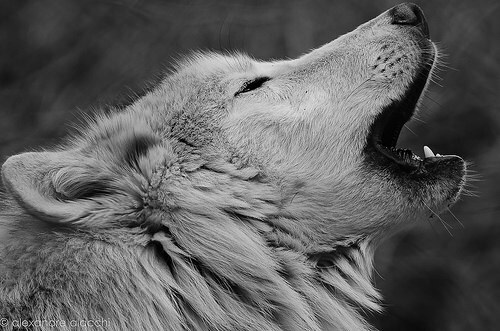 For four months they hunted Eurasian wolves believing them to be the beast but the attacks continued. In June 1765 they were replaced by François Antoine the king’s Lieutenant of the Hunt and on September 20 he killed a very large grey wolf, nicknamed Le Loup de Chazes after the nearby Abbaye des Chazes. The animal was stuffed and sent to Versailles where Antoine was received as a hero and well rewarded. However, the attacks continued. 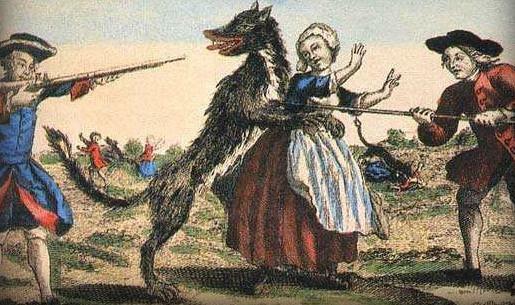 When Jean Chastel shot a large wolf during a hunt on June 19, 1767, the attacks finally stopped. Some writers suggested that it was shot with a blessed silver bullet and when opened, human remains were found in the animal’s stomach. There are no wild wolves in the region today but just north of Mavejols is the Parc Les Loups du Gévaudan, where some 100 wolves from Poland, Siberia, Mongolia, the Arctic and Canada can be visited. 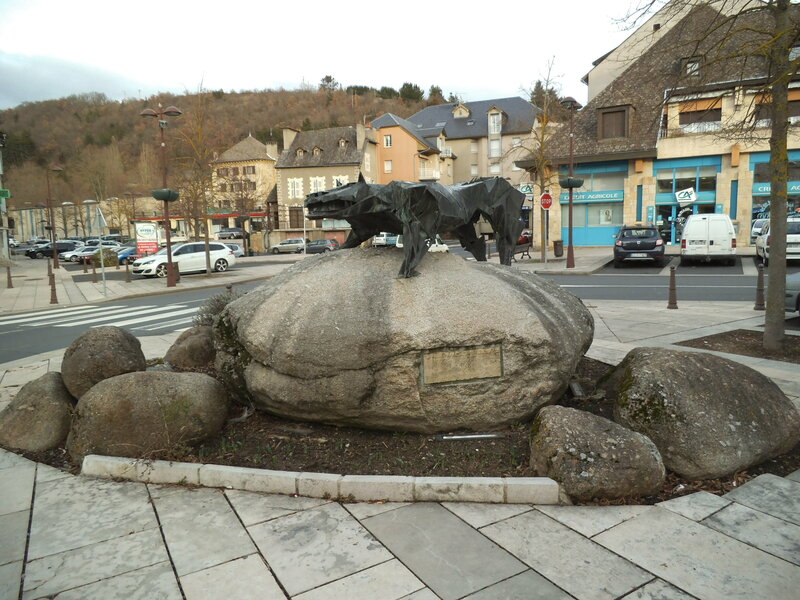 There are exhibitions about the Beast of Gévaudan as well as educational displays about wolves to dispel the myth that they are ferocious, deadly animals. Perhaps one day they will be reintroduced to the wild here, as has occurred in other places in Europe. This entry was posted in France and tagged Beast of Gevaudan, European Nomad, europenomad, France, Gevaudan, Lozere, Marvejols, wolves on February 12, 2017 by A Nomad. 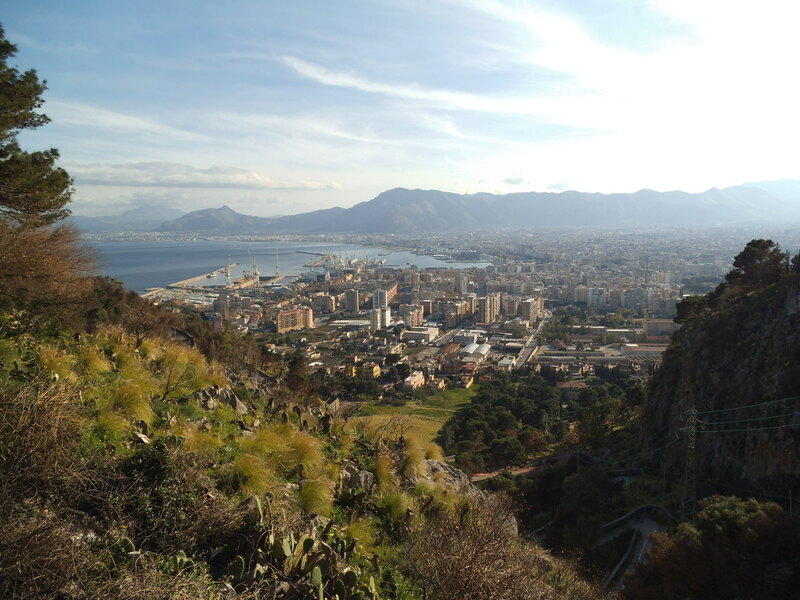 It’s not an auspicious start to my pilgrimage up Monte Pellegrino, a large rocky promontory to the west of Palermo. I’ve decided to catch the bus up the mountain but I’m standing on the wrong side of the road. Luckily, the driver has seen enough wayward tourists to realise my intended destination and stops to beckon me over. There’s only one other passenger and he seems intent on explaining the best spot for the views. This seems to be up front, next to the driver who is swinging wildly round hairpin bends with one hand. In the other is a cigarette. He honks his horn loudly at each blind bend to warn oncoming traffic of his intent (not to stop) and narrowly overtakes the masochistic cyclists who are practising to be ‘King of the Mountains’. 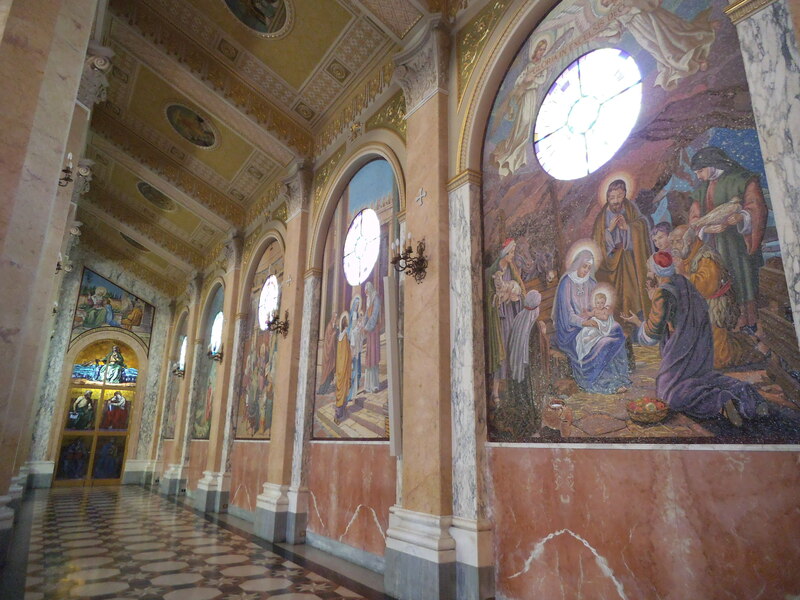 We reach the sanctuary of Santa Rosalia in one piece and I give an offering in thanks for my safe arrival. 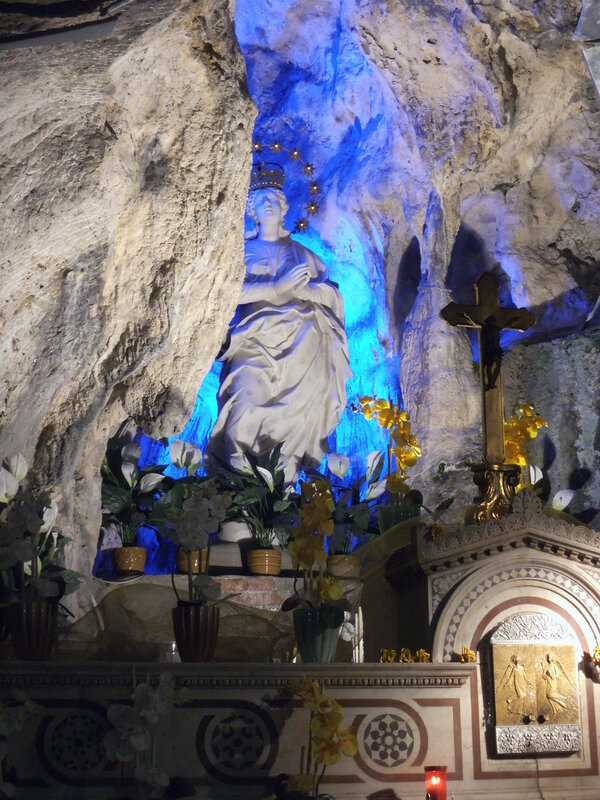 Rosalia was probably the daughter of the Duke of Sinibaldo who decided to reject her wealthy life and live as a hermit in one of the caves on the mountain and ultimately died there in 1166. 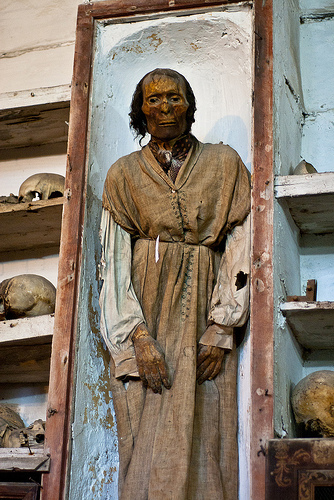 Her bones were miraculously rediscovered in 1624, just in time to save the city of Palermo from the plague, and since then she has been honoured as the patron saint of the city. 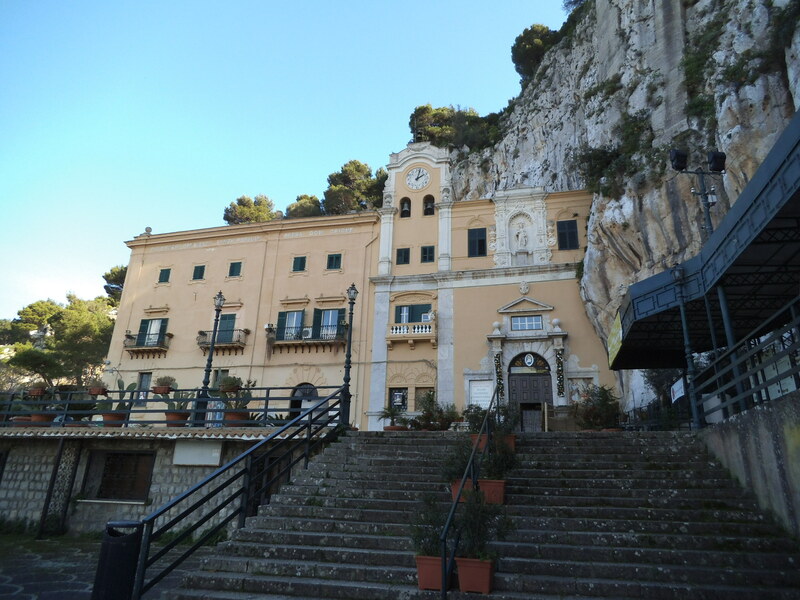 Her cave is now hidden behind the Baroque façade of a church, but inside it is still just a cave. The ‘miraculous’ water dripping down the walls is captured by metal plates artistically arranged to direct it into a stone basin. 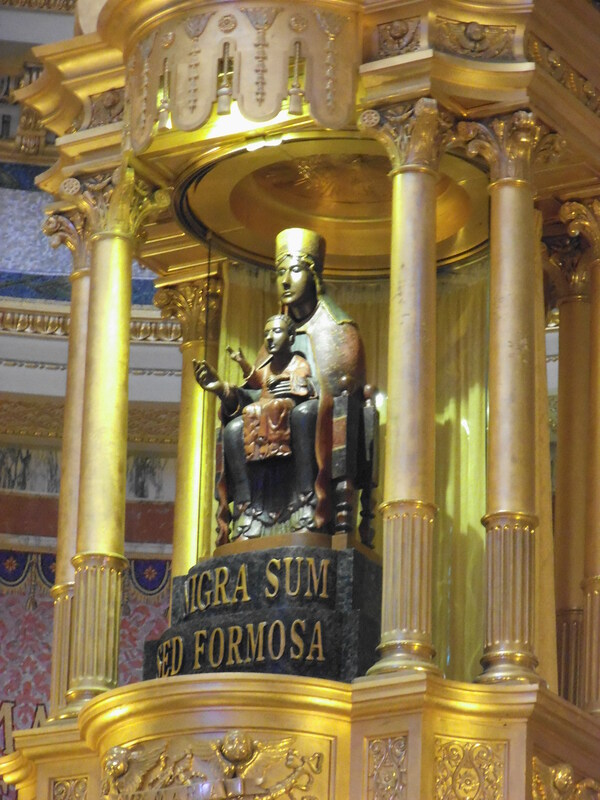 Rosalia is everywhere – a statue in a glass coffin with one of her bones in a reliquary, another smaller statue on top with a tooth embedded in its heart, a bust half hidden in a cavity above, another statue at the end and a fresco on the wall. In the entrance are traditional silver votive offerings as well as less traditional ones which mostly seem to be children’s clothes or toys, though I do spy the odd football scarf. 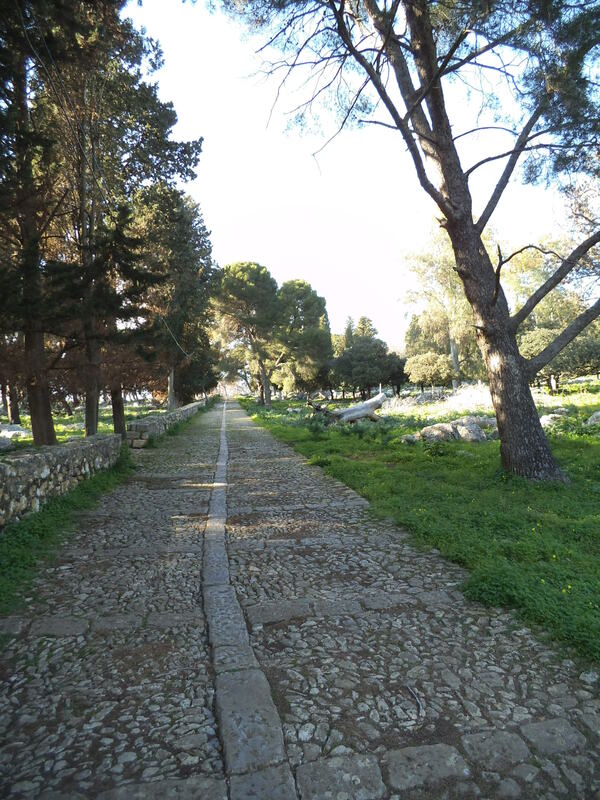 I return to Palermo on foot using a very scenic cobbled pilgrim’s path which passes through the pine forest and then zig-zags down a gorge where it finally emerges into frantic downtown traffic. I pass a few more masochistic cyclists who for some reason are straining up the cobbled path instead of the smooth tarmac road. Perhaps it is their form of penance. 100 kms to the east I’m driving to another rocky promontory (there are quite a few along the north coast of Sicily) to visit another religious sanctuary. This one is dedicated to a Byzantine Black Madonna which arrived from Constantinople in the 9th century and has been known to perform miracles, such as producing a soft cushion of sand to break the fall of a child who fell from the cliffs above. I arrive at the large lower car park and find it completely empty with no sign of the promised shuttle bus, so I continue up the road and park in the higher disabled parking area which is also completely empty. After several months of observing the driving rules (or rather lack of them) in Greece and Italy, I’ve finally gone native. The sanctuary was built in the 1960’s to replace a much smaller chapel but it’s not over-the-top like many others I have visited, In fact it’s quite tasteful with paintings of the life and death of Jesus lining the walls, colourful stained-glass window of saints and a large apse where the Black Madonna is enthroned, looking down upon those who have come to pray for her help. 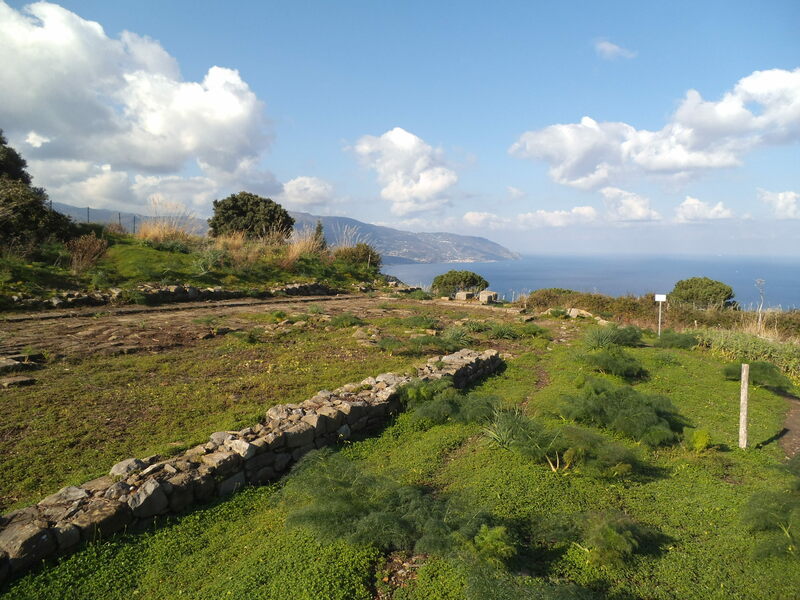 Beyond the sanctuary is the archaeological site of Tyndaris. 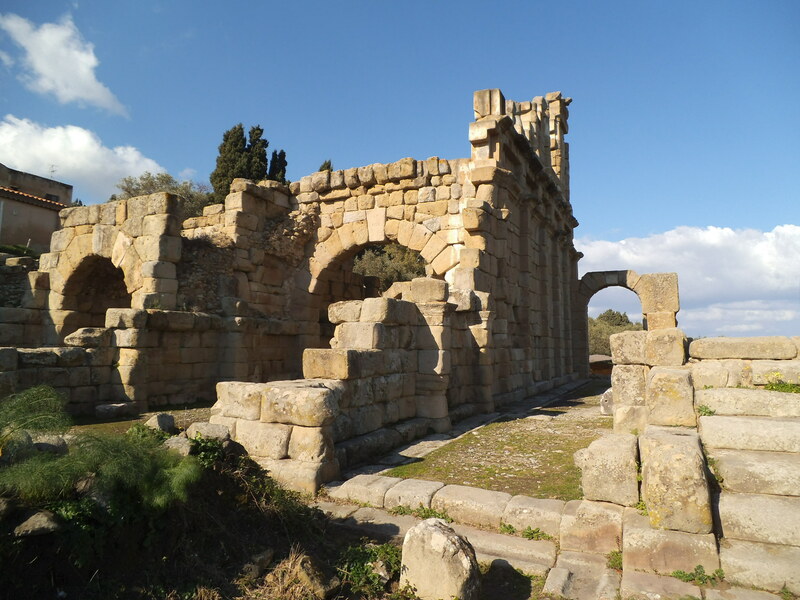 It’s a beautiful sunny day and I’m keen to clamber around some more Roman remains but I’m to be disappointed for this is one of the poorest maintained sites that I have visited in Sicily. There are no information boards, even in Italian, and no marked pathways. The paths that do exist are completely overgrown, and very wet after a night of showers, and high wire fences stop me from reaching any decent viewpoints. 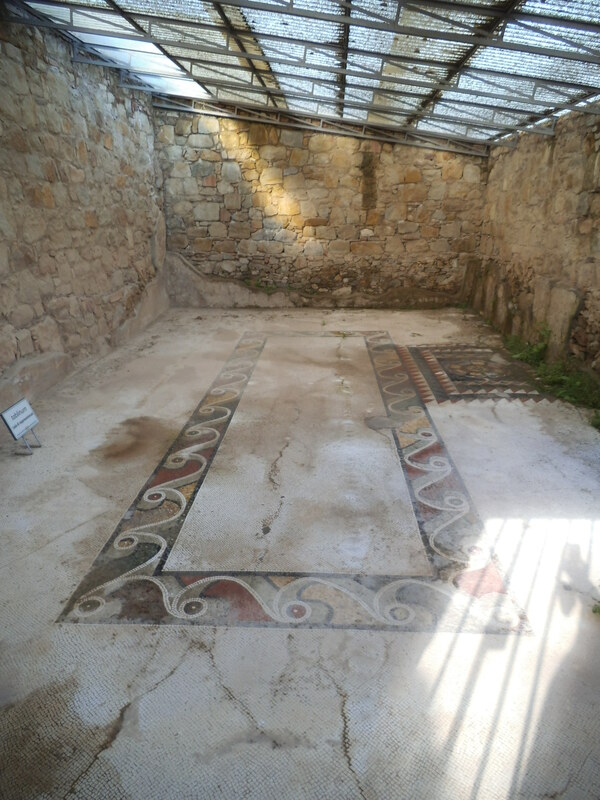 I’m a little placated when I finally find the partially restored Basilica and a Roman house which has some interesting mosaic floors, though these would be even better if someone bothered to sweep and clean them occasionally. I’m tempted to ask for my money back but the staff at the reception desk made it quite clear that they didn’t understand any English and my Italian is certainly not good enough to argue my case. As I leave I spot a police car that has driven up to the viewpoint. It’s unclear whether it is patrolling or if the occupants just want a nice view for their coffee break. It makes me wonder if Trixie might have been penalised for her poor choice of parking spot but when I get back to the car park there is no ticket, no clamp and not even any other cars. Perhaps I’m being protected by the Black Madonna or, more likely I’m just benefitting from the laissez-faire attitude of the Italian police. 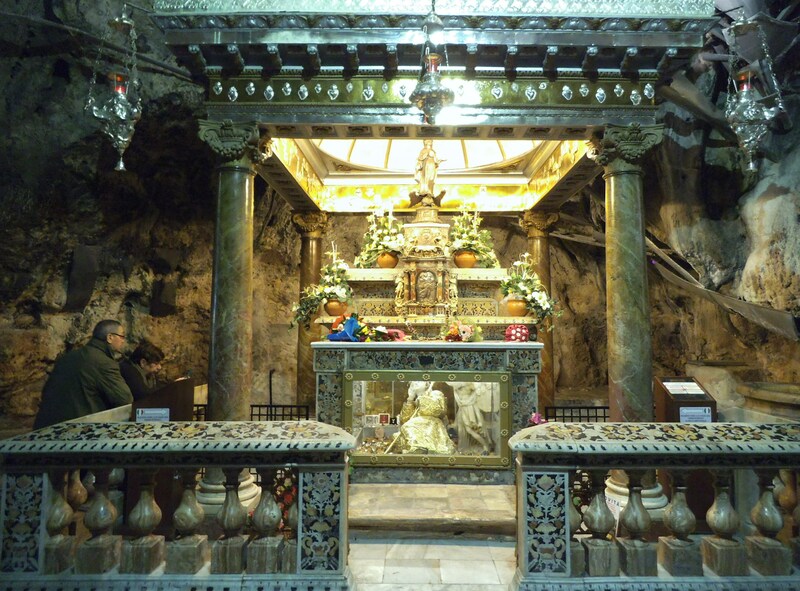 This entry was posted in Italy, Religion and tagged black madonna, European Nomad, europenomad, Italy, Monte Pellegrino, Palermo, Santa Rosalia, Sicily, Tindaris on February 7, 2017 by A Nomad. 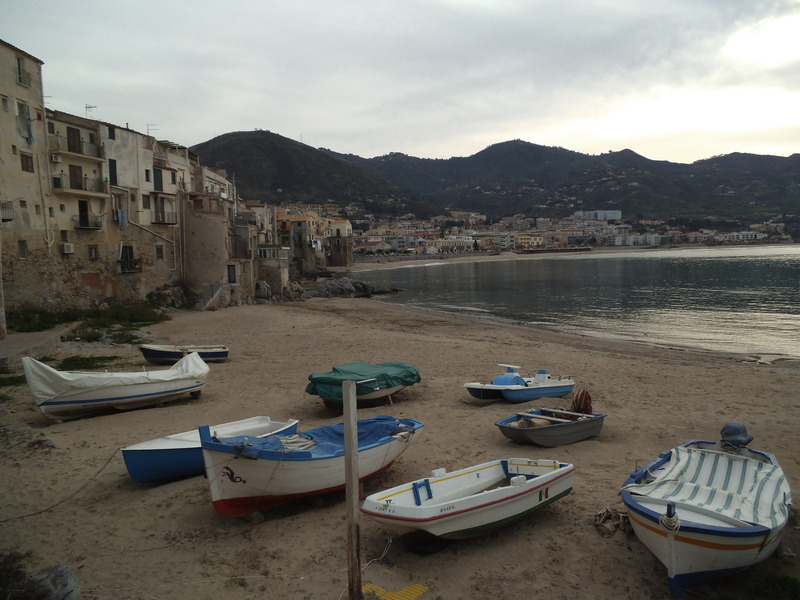 In my last week on Sicily, I potter along the northern coast. 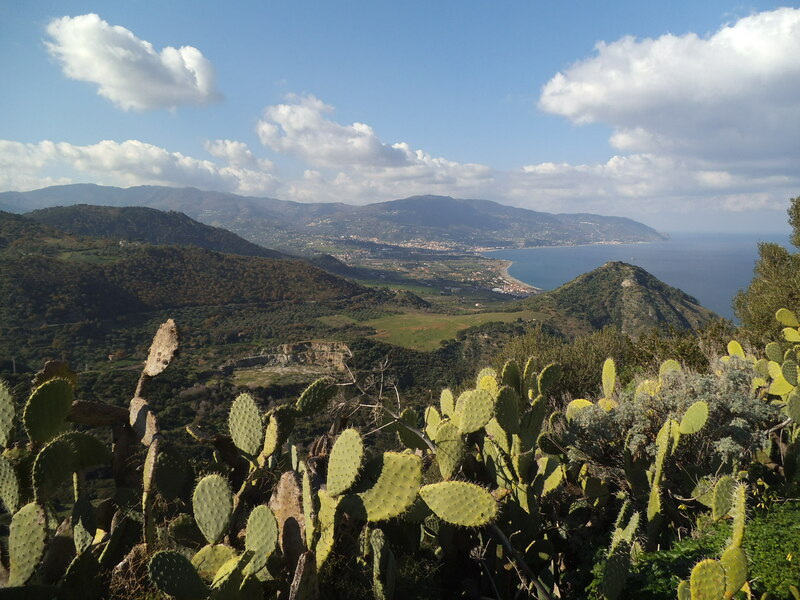 The S113 runs close to the shore, criss-crossing the railway line, which does the same, providing wonderful views out to sea and occasionally I can spot the volcanic Aeolian Islands. However, I manage to drag myself away from the coast and venture inland to the mountains where the Normans erected some pretty impressive castles. 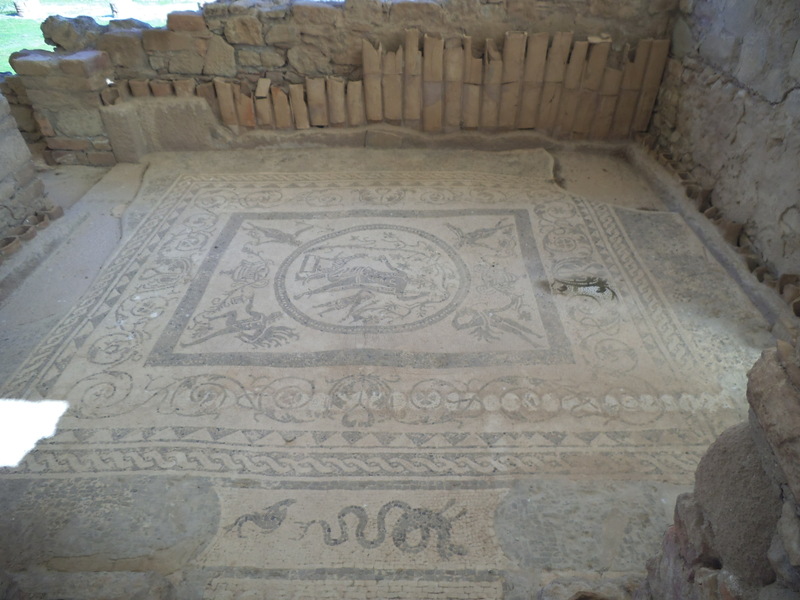 The first of these dominates the town of Caccamo. Built in the 12th century, it is a memorial to the art of defence. Thick walls, steep approaches, plus twists and turns all combine to confuse would-be attackers. Not to mention the boiling oil, sling shots and arrows that any invader would have to face if they did get that close. 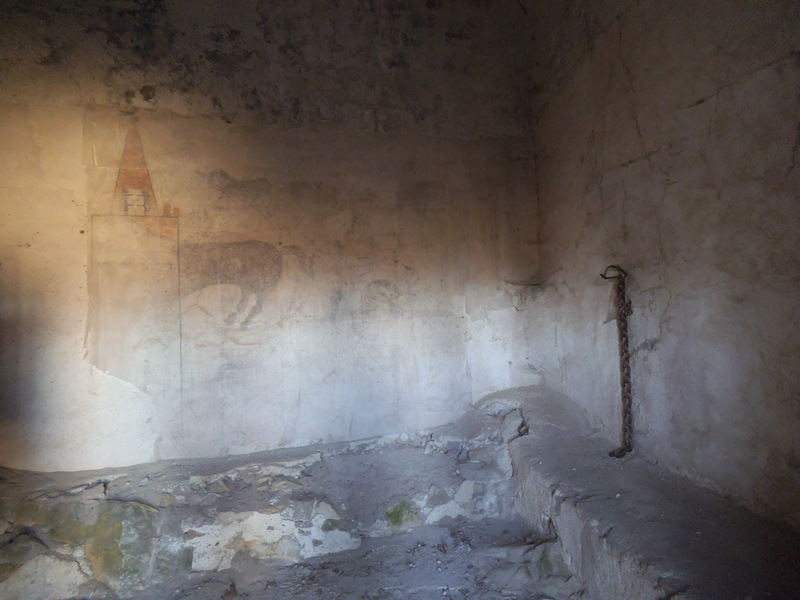 Captives were slung into the prison cells where they doodled on the plaster walls until they were freed or, more often, killed. There’s also an oubliette for those unlucky enough to be forgotten and left to starve to death in the dark hole. On the scenic terrace above is a plaque which details the story of two prisoners who escaped the hangman’s noose by using sheets as parachutes to jump from the walls. One died and the survivor, badly injured, was put back into the prison until the lord of the castle felt that he should be freed for his bravery, or perhaps his stupidity! 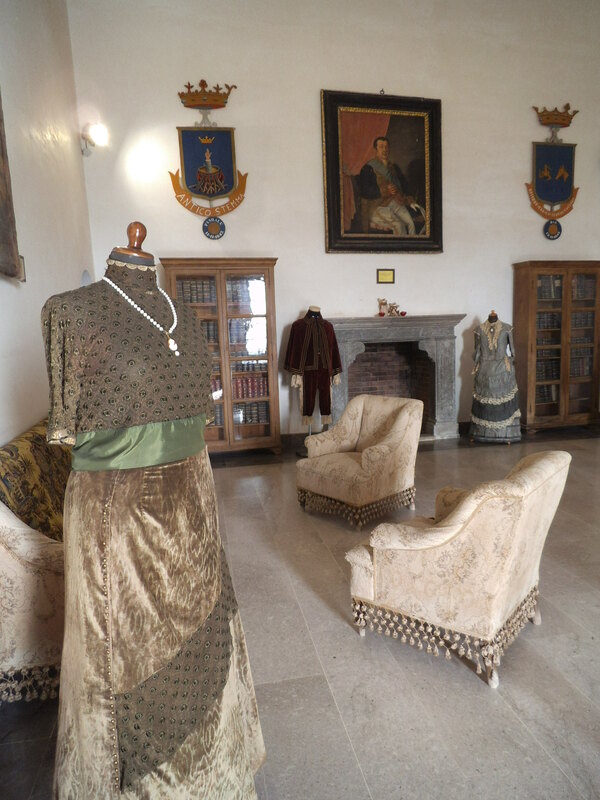 Most of the rooms are decorated with period pieces, such as furniture, clothing and arms. 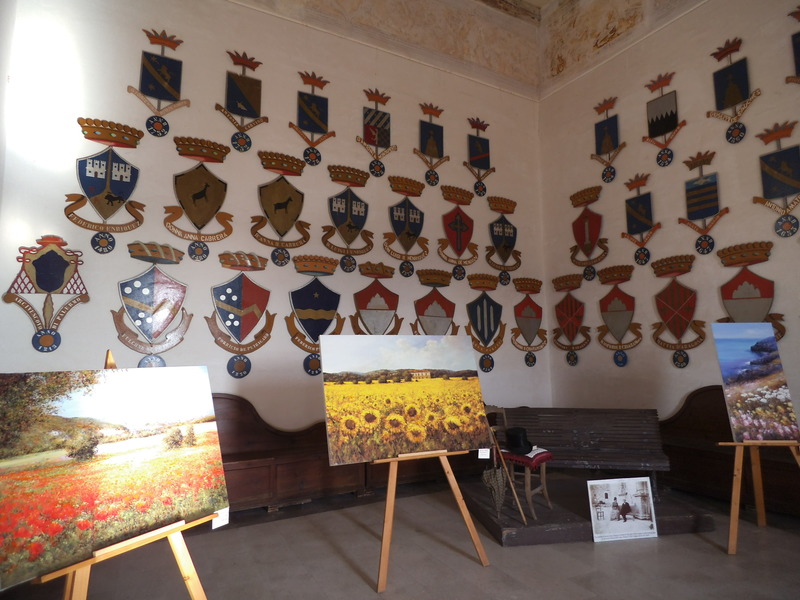 They are also being used to exhibit artwork by Sicilian artists. 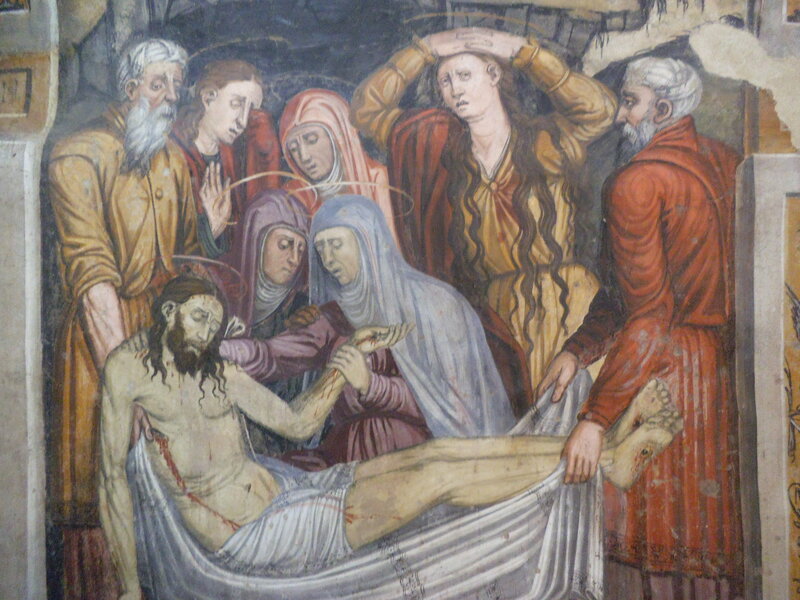 In the small chapel I learn of another gruesome tale. 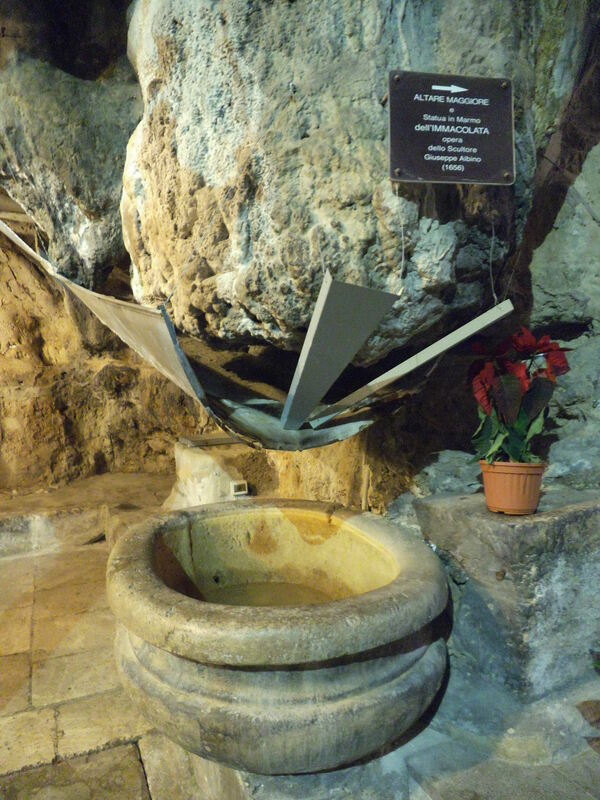 Undesired guests were brought here believing they could pray, but when they knelt at the altar, a trapdoor opened and they fell onto spikes in the chamber below. It is commonly known as the ‘Trick Room’. Leaving behind the medieval torture tales of Caccamo, I head back to the coast and the town of Cefalu, which sits below a rocky promontory known as La Rocca. I’m here to see the cathedral, built by Roger II in gratitude for his safe landing during a violent storm. 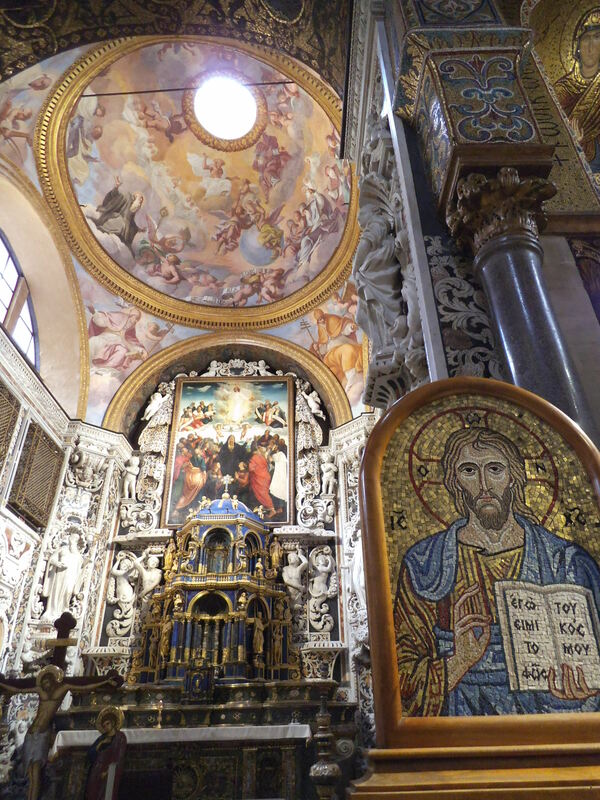 The 12th century Duomo features an apse with a mosaic of Christ Pantocrator, much like the one in Monreale, but overall I’m disappointed with the visit. 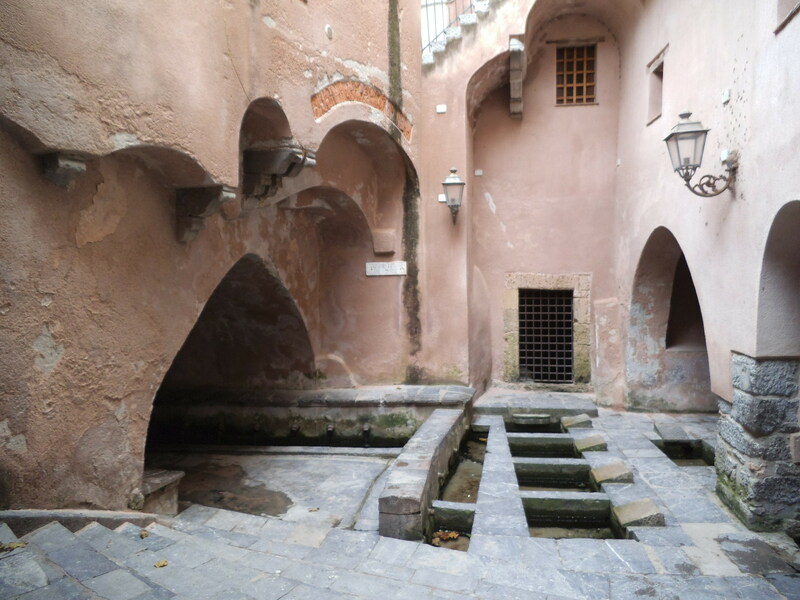 More interesting is the Saracen lavatoio, a stone wash house near the beach which I arrive at just before a large school party of Palermo teenagers. 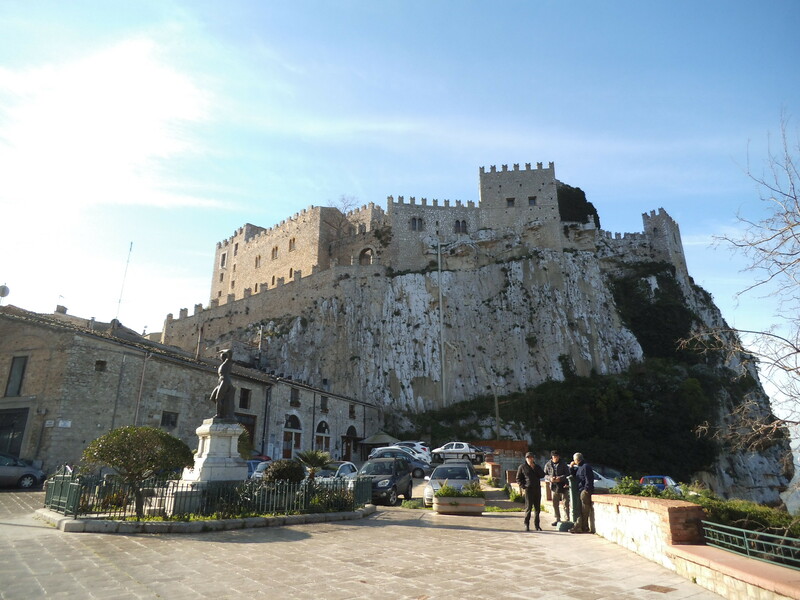 I head back into the mountains to see the beautiful castle of Castelbuono, although it’s not actually that beautiful and, after Caccamo, is a real let down. 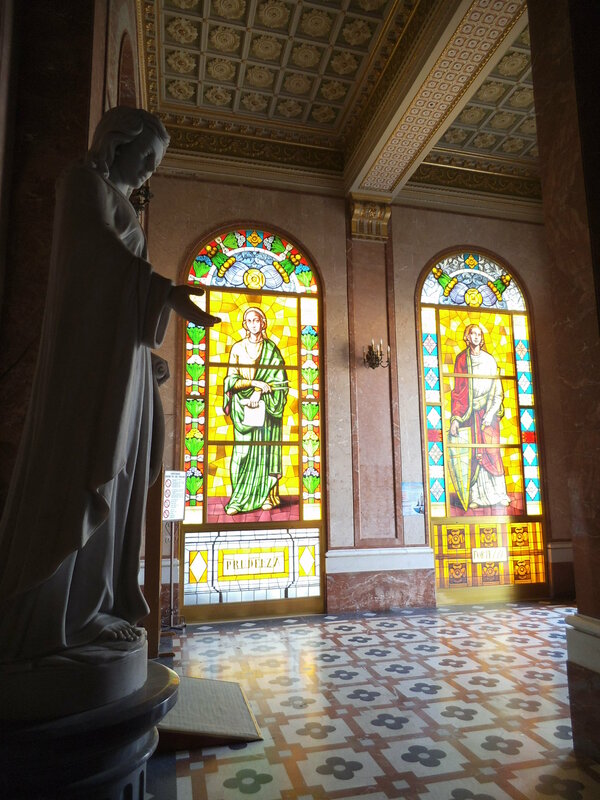 Even the fact that the chapel on the top floor houses the skull of St Anne is not enough to hold my interest. 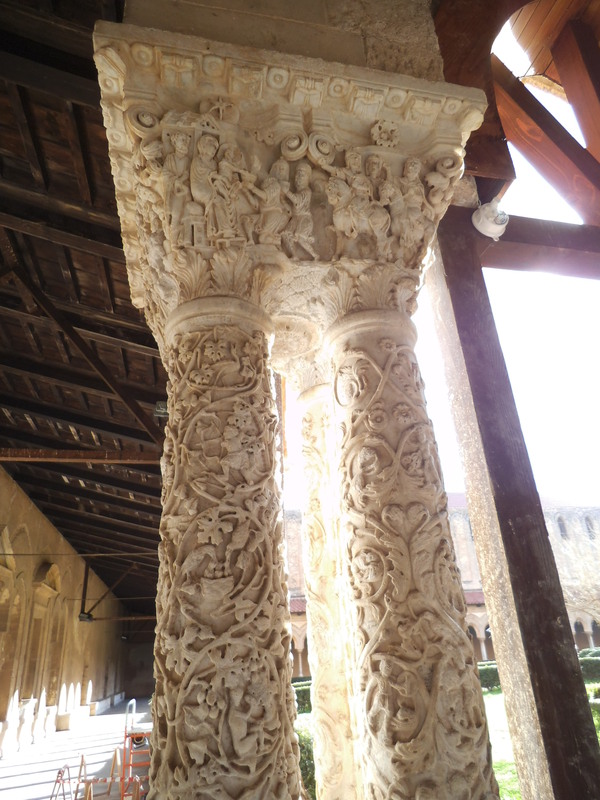 Luckily, the 14th century Church of Matrice Vecchia charms me. The interior is not that special but a trip down into the crypt causes my jaw to drop. 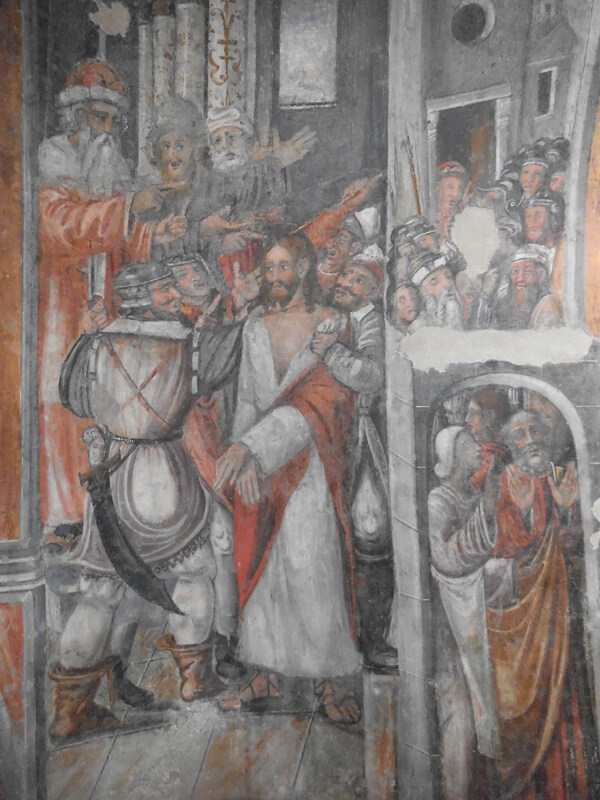 The walls are covered with amazing 16th and 17th century frescos depicting Christ’s life from the Last Supper to the Resurrection. They are so vibrant in colour that I find it hard to believe that they haven’t been retouched. Another charming aspect of the town is its determination to be eco-friendly. Greengrocer trucks selling local produce are parked at the edge of town, a water dispenser offers locals (and me) the chance to recycle bottles and fill them with cheap, clean water (5c per litre) and best of all, donkeys patrol the streets to collect the rubbish. 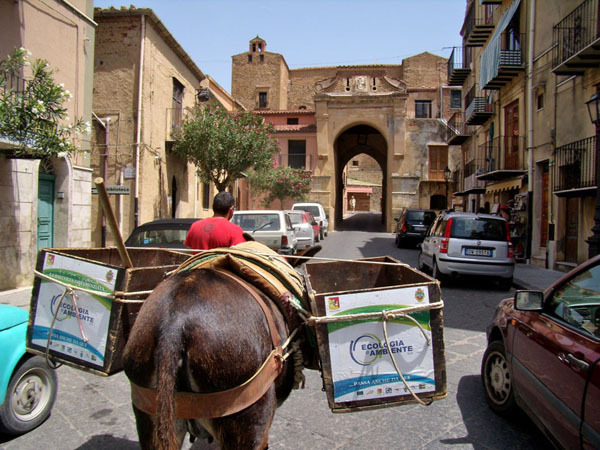 Unlike the 5* hotel at Eze in France, Castelbuono wants to retain these cheap and cheerful animals instead of replacing them with electric golf carts! 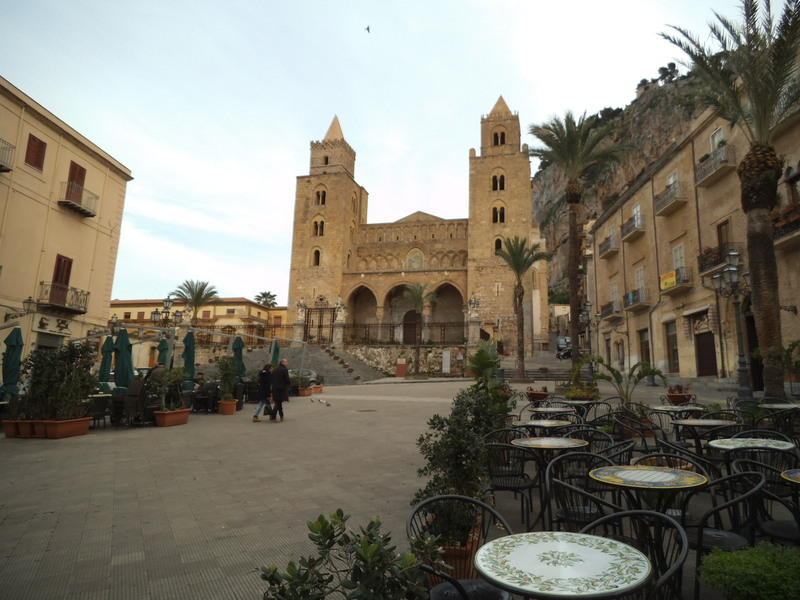 This entry was posted in Italy, War and tagged Caccamo, Castelbuono, Cefalu, donkey, European Nomad, europenomad, Italy, Norman, Roger II, Sicily on February 2, 2017 by A Nomad. 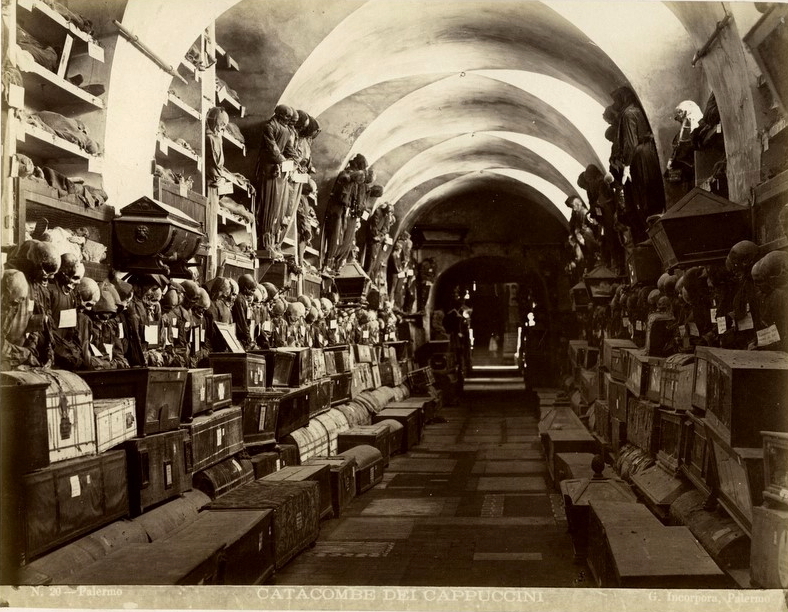 The Cappuccini Catacombs – I See Dead People! 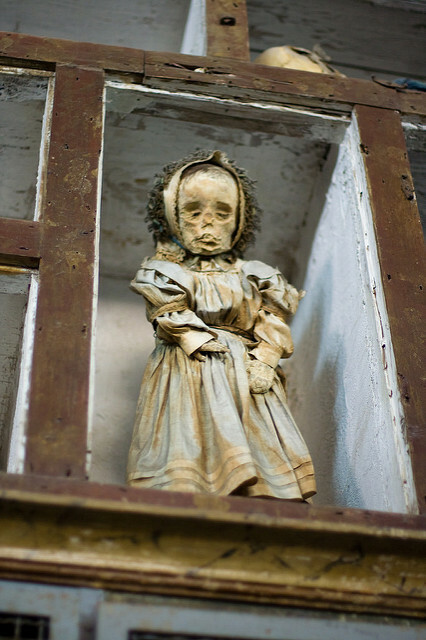 In a northern district of Palermo, surrounded by ugly concrete apartment blocks, hides the church of Santa Maria della Pace where, in tunnels beneath the church the Capuchin monks have been storing the preserved bodies of the dead for nearly 500 years. 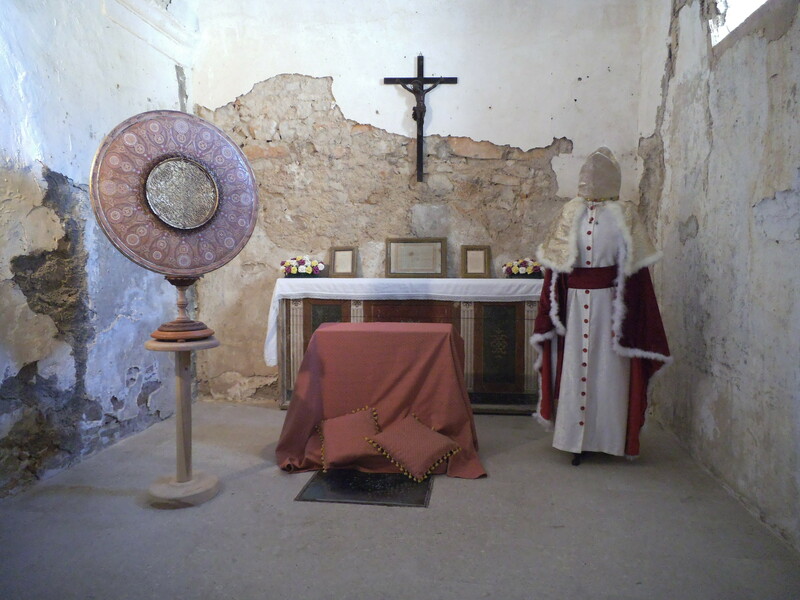 It all began in 1534 and it was initially only the bodies of the monks who were left in the colatoio (preserving room) to dry out. Later, local prominent families bought their dearly beloved here for storage. I’m alone for my visit and it is quite creepy down below. The corridors are literally lined with bodies, some mere skeletons clothed in their Sunday best, others with leathery skin and hair. They are segregated into sections: Clergy, soldiers, professionals, virgins and babies. Indeed, it is the children who are most scary, still wearing their best bonnets. In the furthest corner I find one of the last to be interred in the catacombs and one of the best preserved. 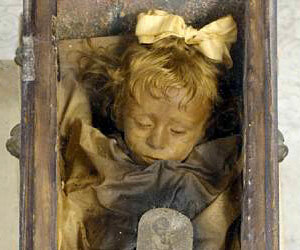 2 year old Rosalia looks like she is asleep in her glass-topped coffin. Doctor Alfredo Salafia had trialled a new process in 1920 which seems to have preserved her features perfectly. Luckily he died before he could work his magic on more cadavers or the catacombs would have ended up looking like a wax museum. Out of respect for the dead there are signs asking for no photos to be taken, so those illustrating this blog post are taken from the internet. 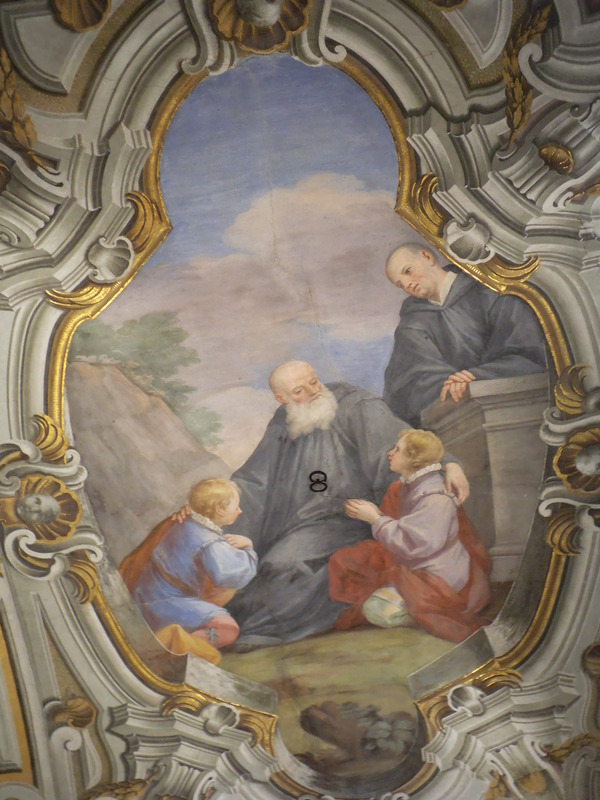 You may be asking yourself if the Capuchin Monks had anything to do with the delicious cappuccino coffee that has become very popular all over the world. Well there is a connection but the exact truth is hard to decipher. Some people believe it is because the colour of the coffee matched the colour of the monks’ robes. 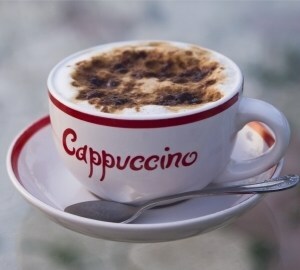 The word ‘cappuccino’ comes from Latin caputium and the Italian form means ‘hood’ or something that covers the head, and it is the hooded robes worn by monks and nuns of the capuchin order that it is named after. Others think that a monk invented the drink in the 17th century and named it after his order. 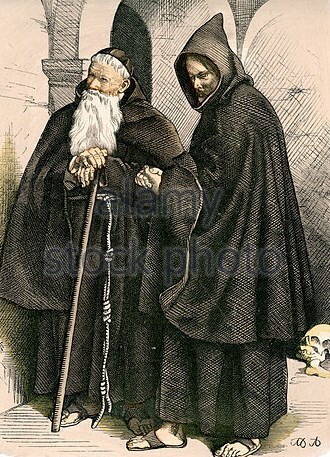 Legend says that in 1683, following a victory over the Ottomans in the Battle of Vienna, soldiers fighting for Marco d’Aviano, a monk from the Capuchin order, found a hoard of coffee. They found the coffee alone too strong and so they diluted it with cream and honey creating a new version of coffee drink. 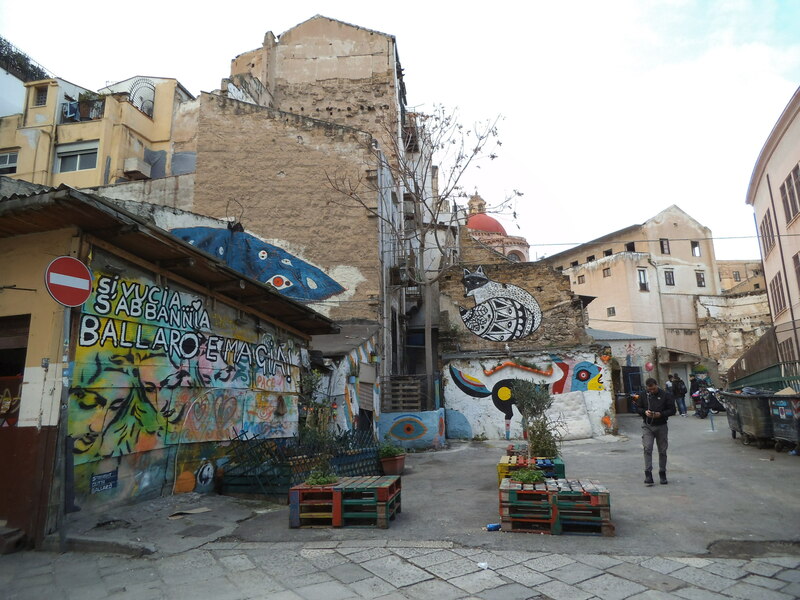 This entry was posted in Food, Italy, Religion and tagged Cappuccini, cappuccino, Capuchin, catacombs, European Nomad, europenomad, Italy, Palermo, Sicily on February 2, 2017 by A Nomad. As I’ve mentioned many times before, I’m not a religious person but I do find it hard to pass a church without popping inside. I’m drawn by the amazing architecture and interior decoration that I usually find within, as well as the opportunity for a moment of peace in what is sometimes a busy town or city. 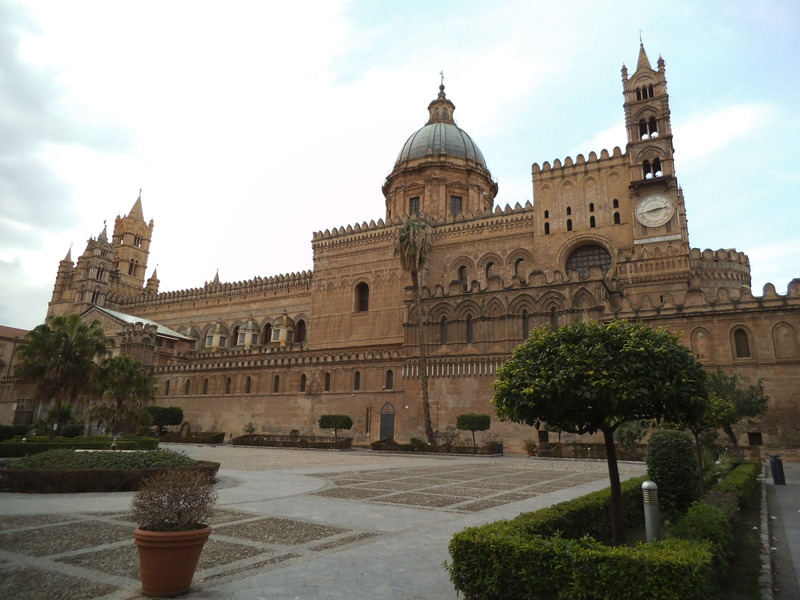 Most people who visit Palermo will find themselves at the Cathedral. 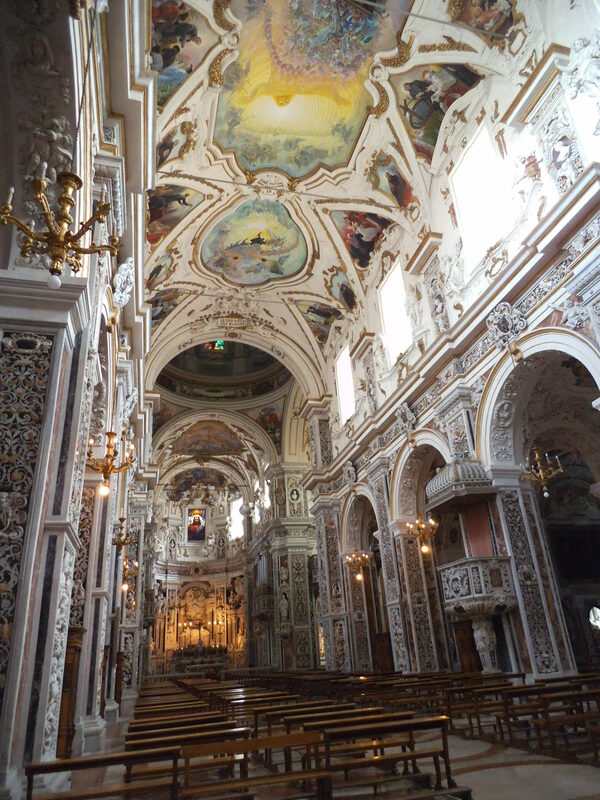 The exterior is a beautiful mish-mash of styles; Norman arches, Gothic turrets and Baroque capitals. However, the interior is a disappointment. 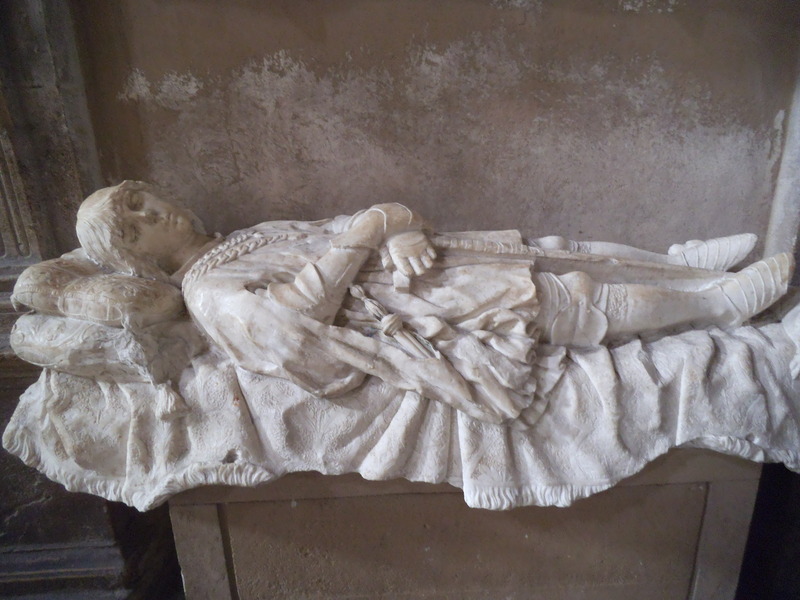 The Royal Tombs are screened off and inaccessible without paying a fee and the chapels are rather plain. Luckily, there are plenty of other churches in the city and, although they may not be as grand in scale, they are actually a lot more interesting and beautiful. The first church I find near to La Cala, in an area that was mostly destroyed by WWII bombing. 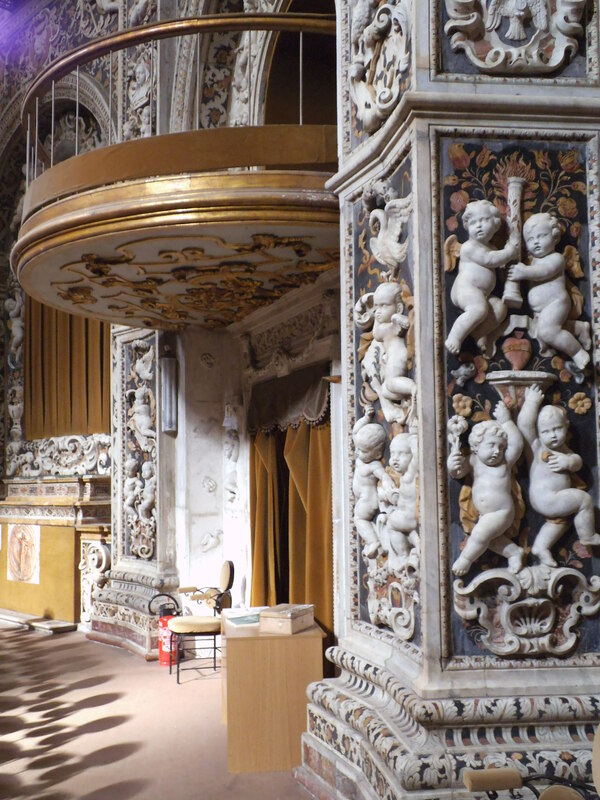 Santa Maria della Pieta has a very theatrical feel – red curtains, and gold wooden boxes topped with organ pipes. I only have 5 minutes to see the Church of San Francesco d’Assisi as the guardian is about to lock up but he patiently waits while I wander and examine the exquisitely carved marble apse and a marble tomb by Domenico Gagini that seems so lifelike that I half expect the occupant to wake up and wander off. 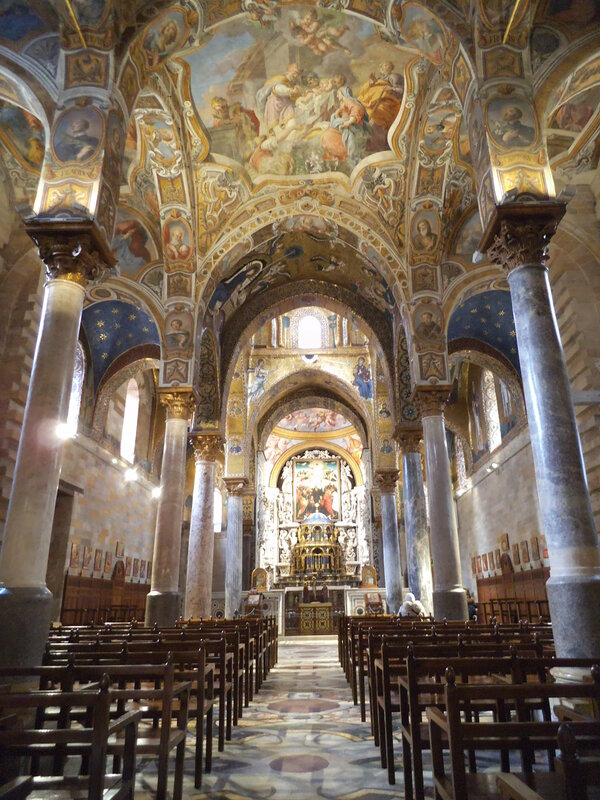 Probably one of the most visited churches in Palermo is also one of the smallest. 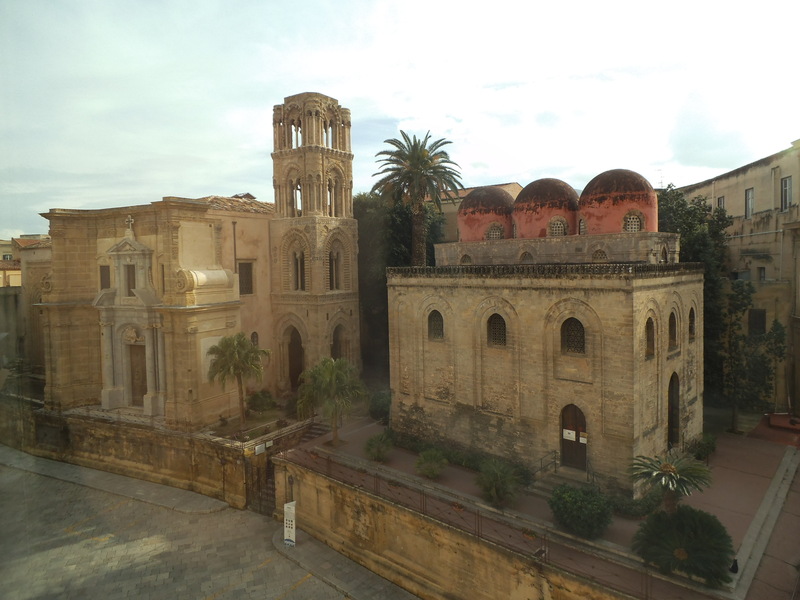 The 12th century San Cataldo was built by Maione di Bari using Arab labour, hence the Arabic influenced décor in the windows and the domes on the roof. 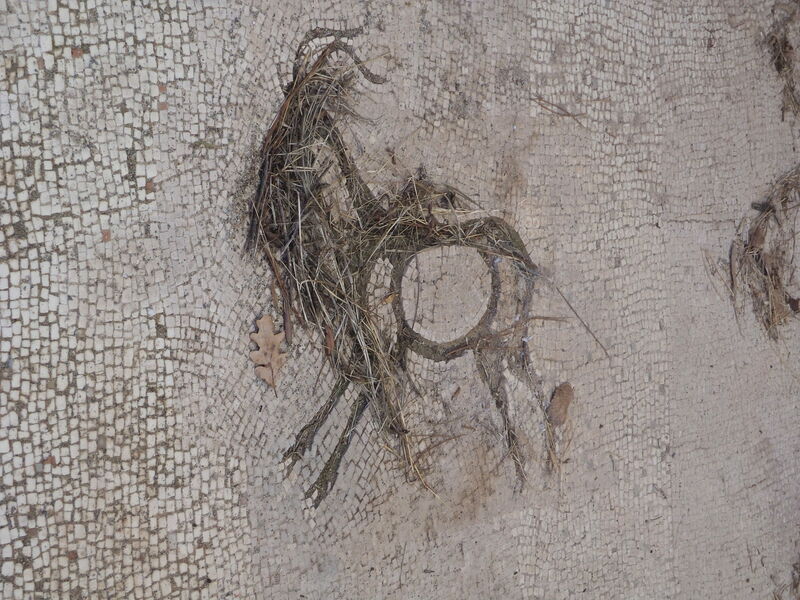 There is also a lovely mosaic floor and it is a very peaceful place. Bizarrely, during the 18th century it was deconsecrated and used as a post office. 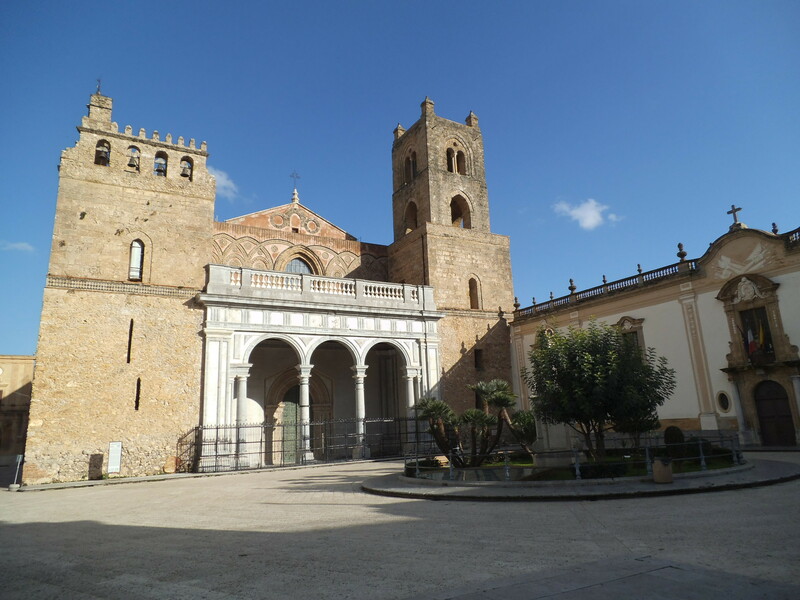 Next door is the 12th century La Martorana, so called because Eloisa della Martorana, who founded the nearby convent, used to decorate the church with marzipan fruits which are still a local Palermo treat. 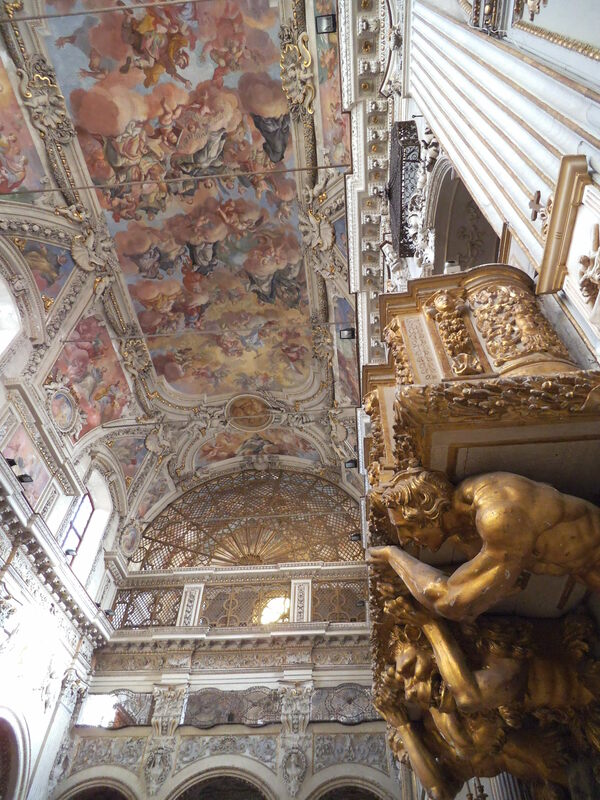 The ceilings are covered with a mixture of golden mosaics and Baroque frescos but somehow the two complement each other and it is one of the most beautiful churches that I have ever visited, and I’ve seen quite a lot. I want to visit the church of San Nicolo which is advertised as having a 13th century watchtower offering some of the best views of the city. 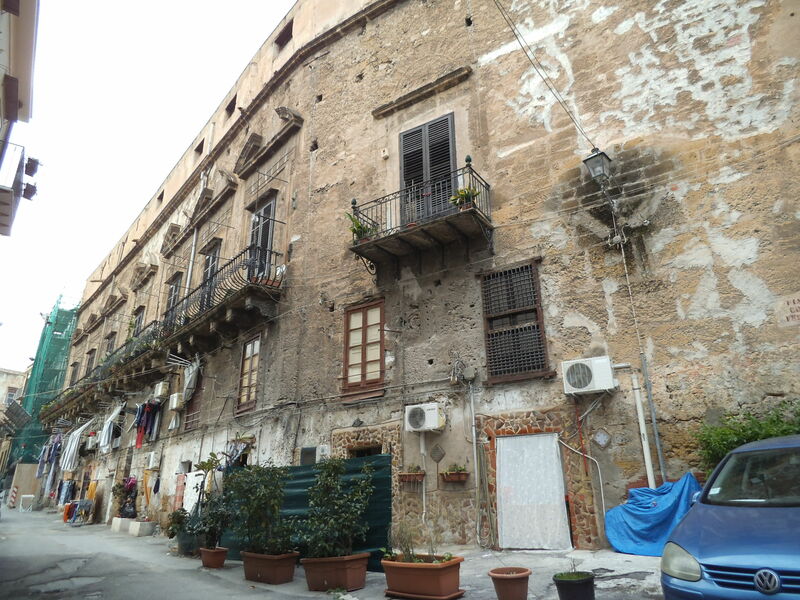 Even though I am not far from the Cathedral, I find myself in the Albergheria, the oldest and now the poorest area of Palermo. The streets are full of graffiti, dripping laundry, abandoned broken toys and immigrant youths. Changing direction, I duck into the 17th century Il Gesu, also known as Casa Professa. 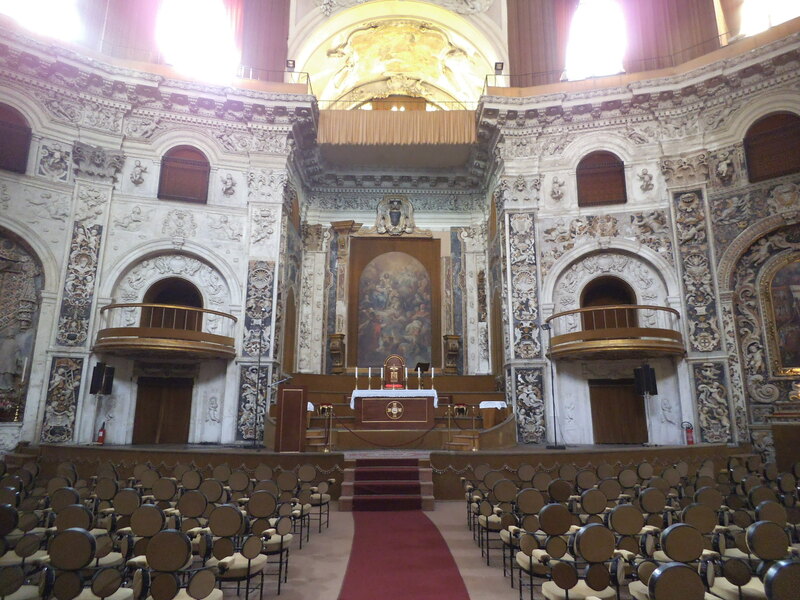 Founded by the Jesuits, it took more than 100 years to complete and was later badly damaged in WWII. 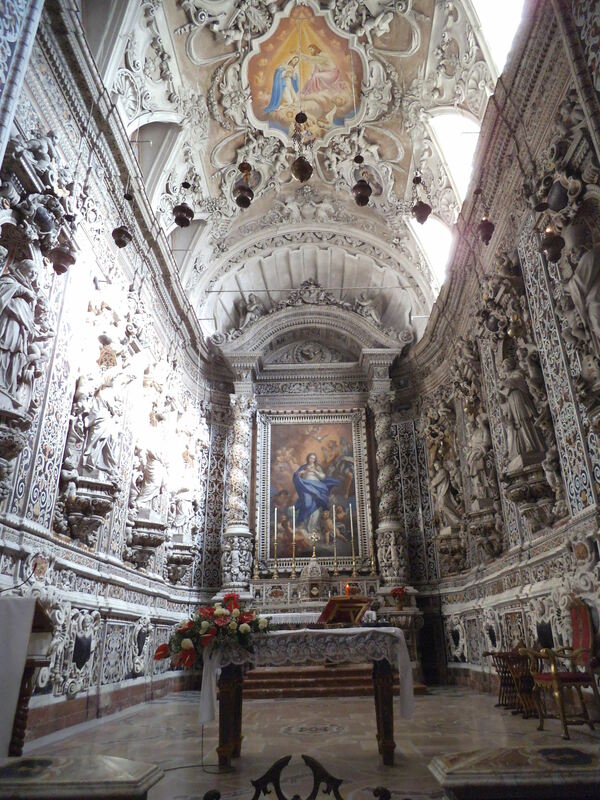 However, the church was lovingly restored to its former Baroque splendour and even featured in the 1963 film Il Gattopardo (The Leopard), based on the book by Tomasi di Lampedusa. San Salvatore church, on the main thoroughfare of Corso Vittorio Emanuele, is an unusual shape, almost completely circular. 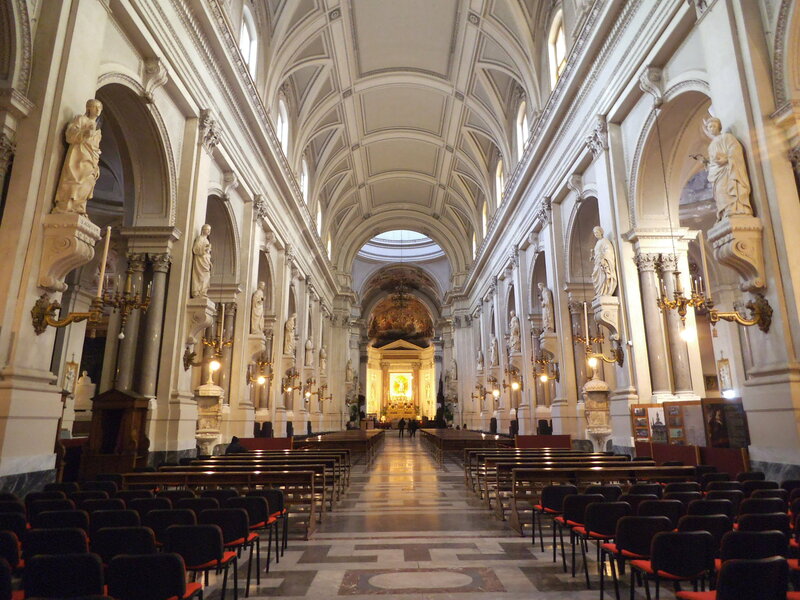 The original church was founded in 1071 by Robert Guiscard as a convent for Basilian nuns. In 1682 the nuns decided that they needed a new structure and the present elliptical design was proposed by architect Paolo Amato. 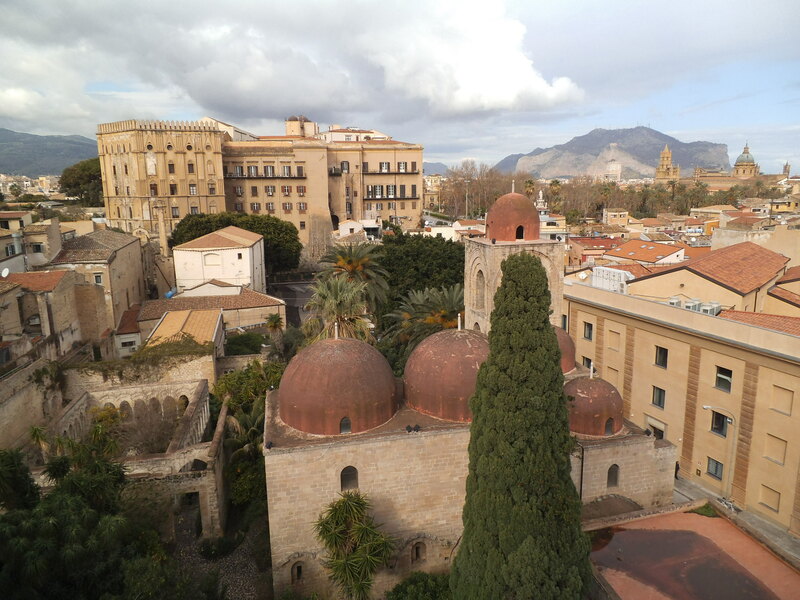 Like many other buildings in Palermo, the church suffered severe damage during WWII causing the collapse of the dome but it was restored and found a new use as a concert hall. 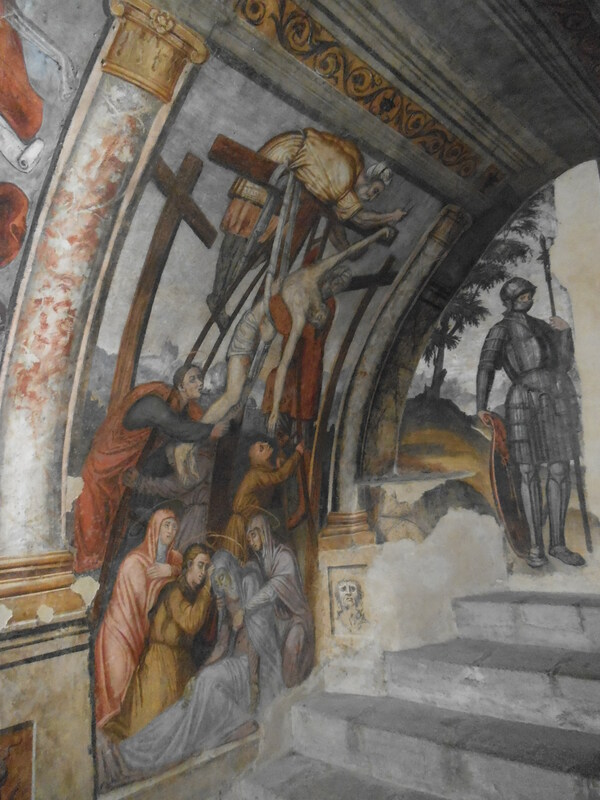 I decide against visiting the Palatine Chapel in the Palazzo Normani due to the extortionate entrance fee but, just around the corner, I stumble upon the church of San Giorgio di Kemonia which is frustratingly closed. However, for €2 I can climb the tower for a proposed view of the city. 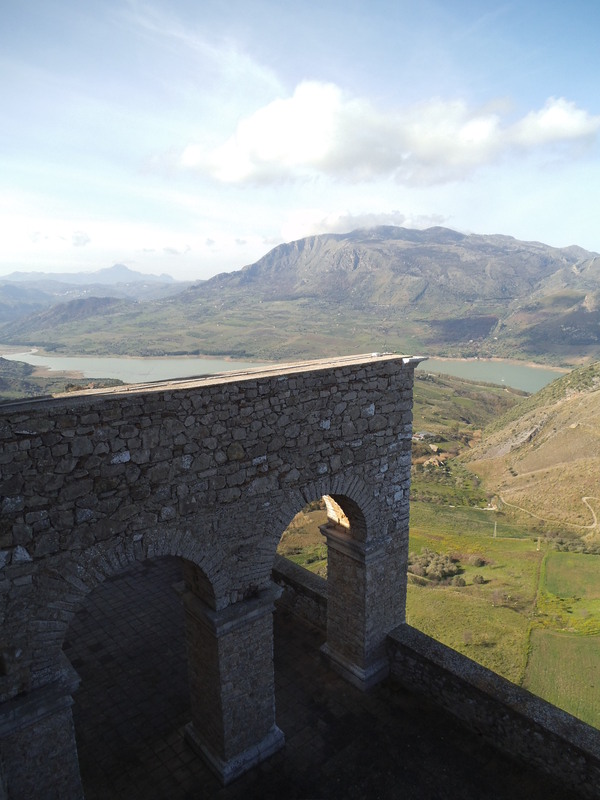 I’m given a hard hat to wear before I set off and, at first as I climb the interior stairs, I wonder why, but when I reach the spiral metal staircase which is loosely fixed within the tower, all becomes clear, as does the vista. 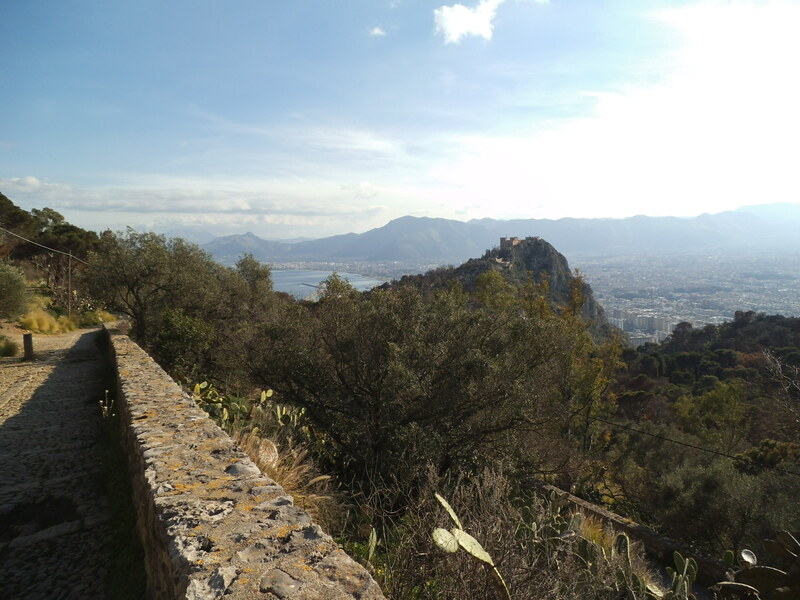 The tower is not that high but it does offer a great view across to the Palazzo Normanni, the Cathedral and Monte Pellegrino in the distance. 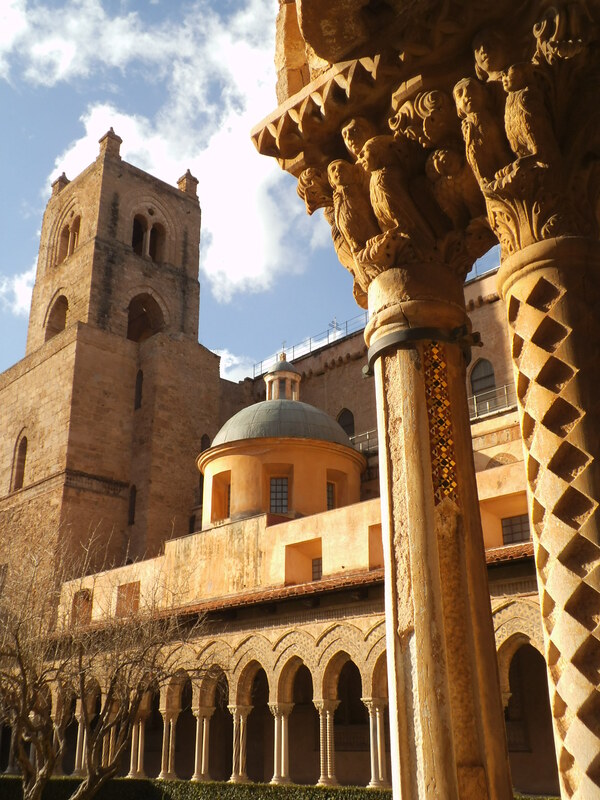 I can also see down to the red domed roof of the 12th century church of San Gregorio degli Ermiti and the charming little cloister in the garden. 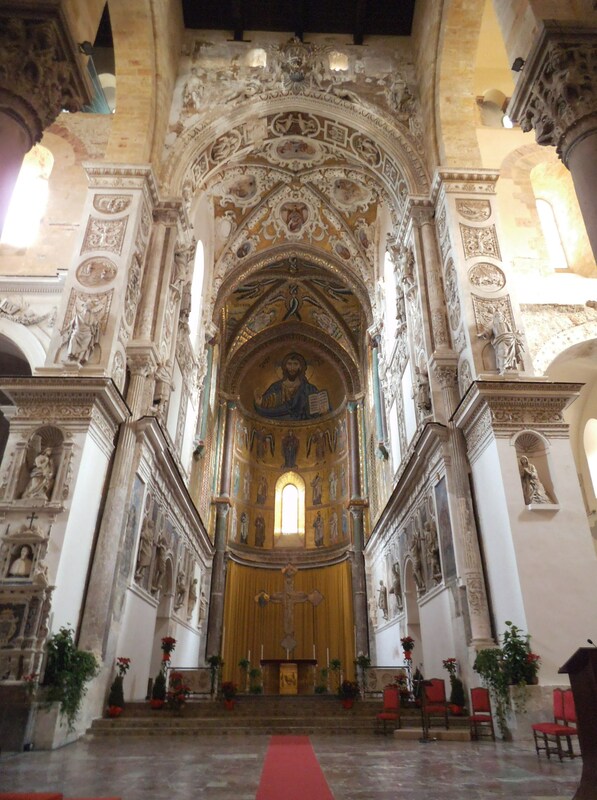 8kms from Palermo, in the foothills to the south, is the town of Monreale (Royal Mountain). 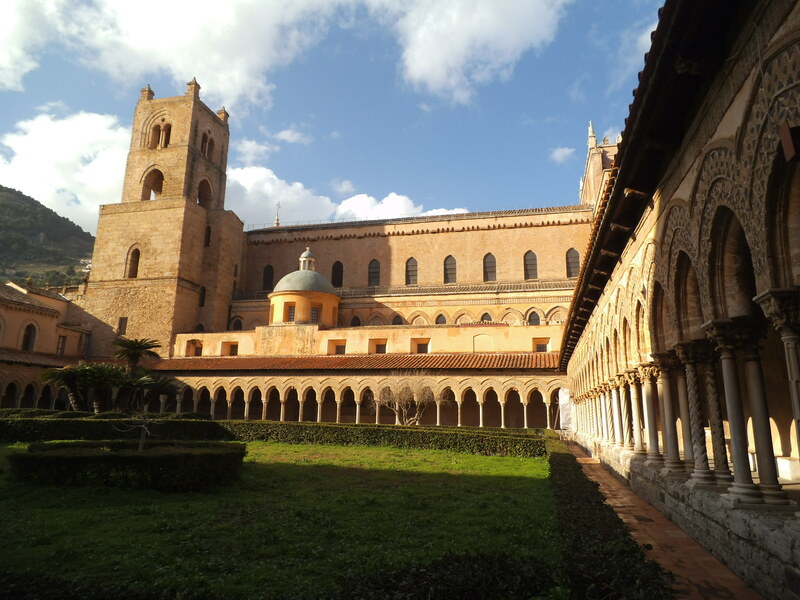 The cathedral and adjoining monastery were endowed by King William II in 1174 and he employed some of the best craftsmen to build and decorate them. 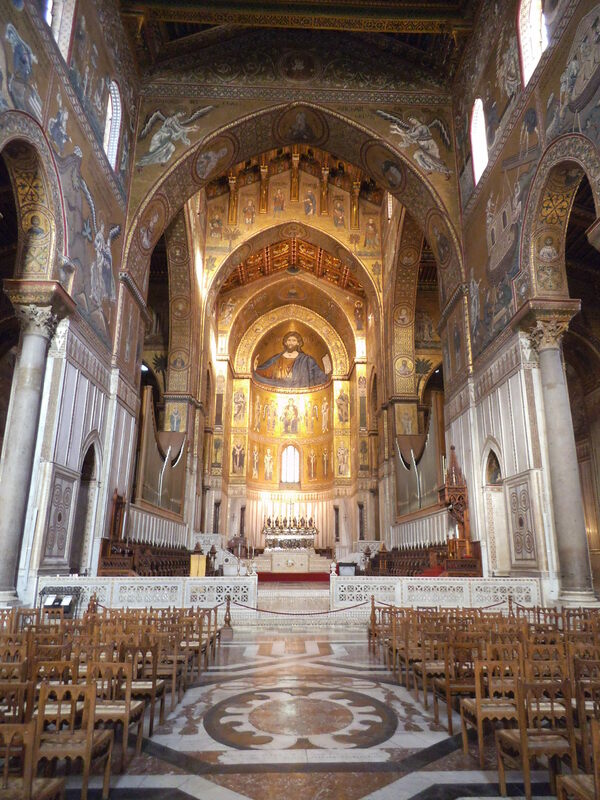 Having already seen the marvellous mosaics of the churches in Ravenna, I have a good idea of what to expect from the Duomo of Monreale. 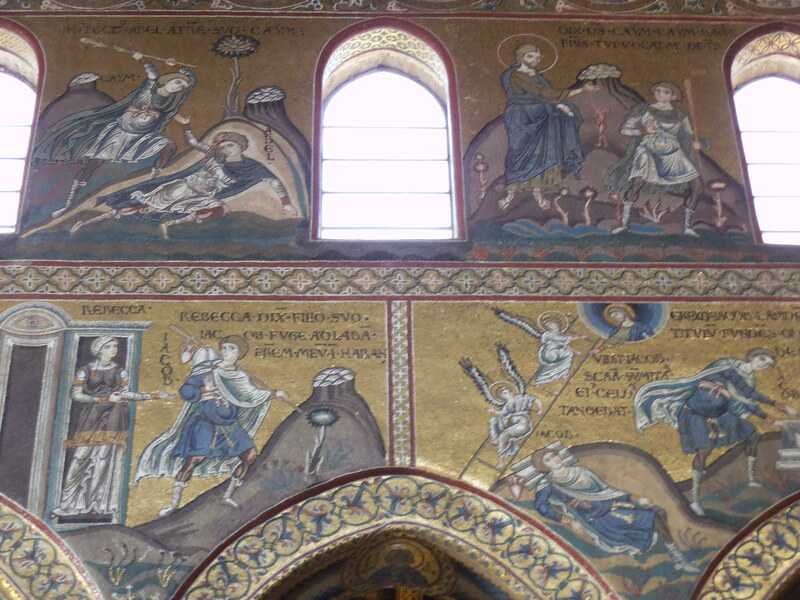 However, what I really find distinctive about the mosaics in this cathedral is their ability to tell a story. The bible has literally been lifted from the page onto the walls and ceilings. It’s easy to appreciate God creating the earth, then Adam and Eve, Cain killing his brother Abel, Abraham about to sacrifice his son and Noah leading the animals onto and then off of the ark. 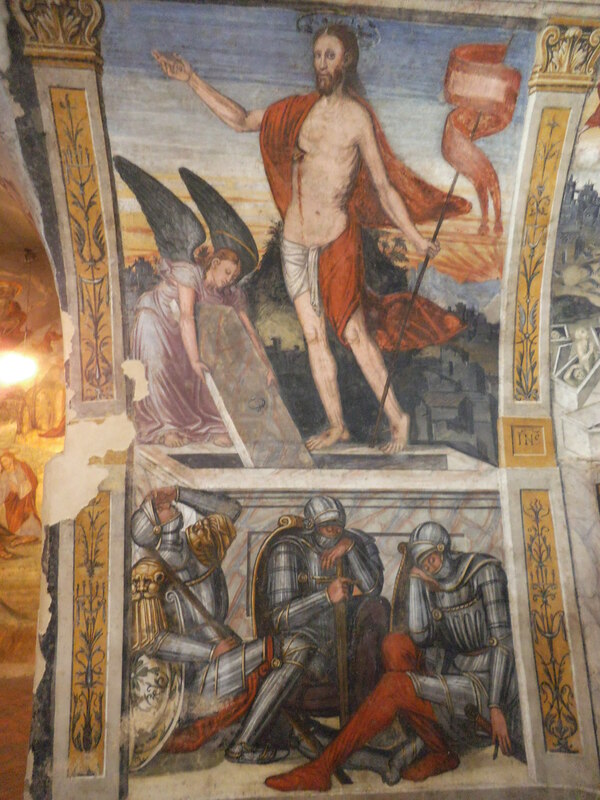 The New Testament is also featured and Christ stands proudly in the central Apse, arms outstretched in a welcoming posture. 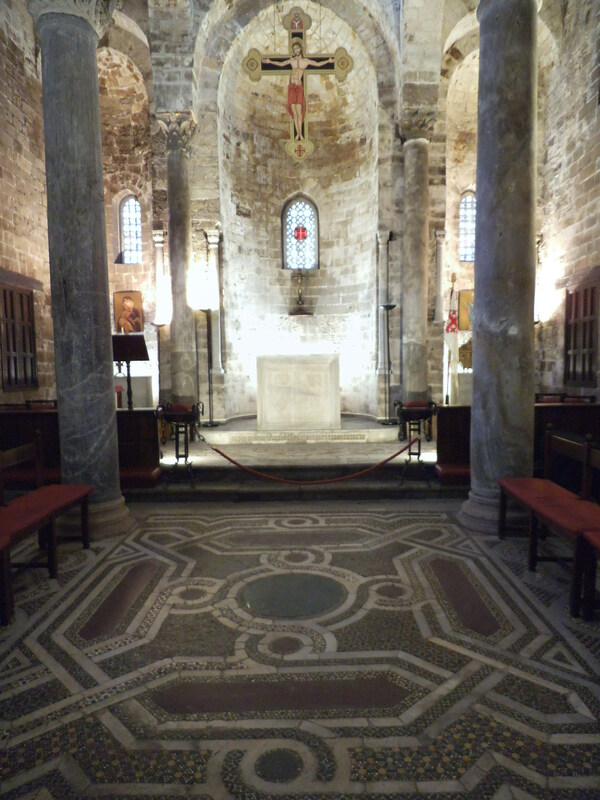 In a side chapel I find the tombs of William I and William II, and beyond are the cloisters, accessed through and external doorway off the piazza. 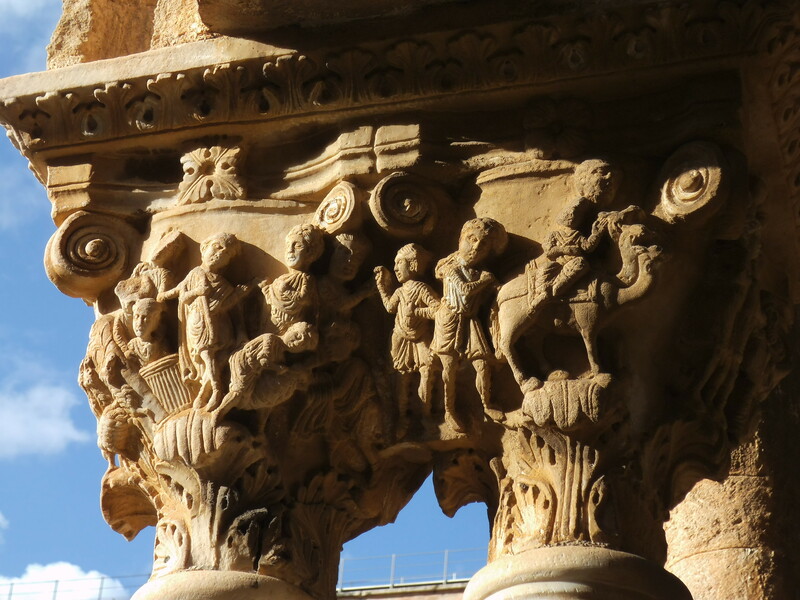 More than 200 columns with intricately carved capitals surround the open courtyard. 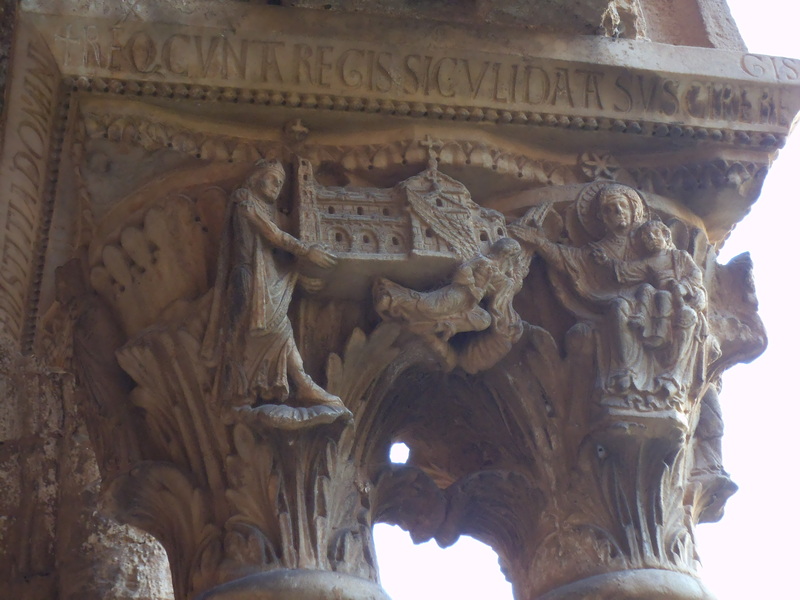 Again, they tell biblical stories, illustrate battles and depict other historical events, such as William II giving the church to the Virgin Mary. 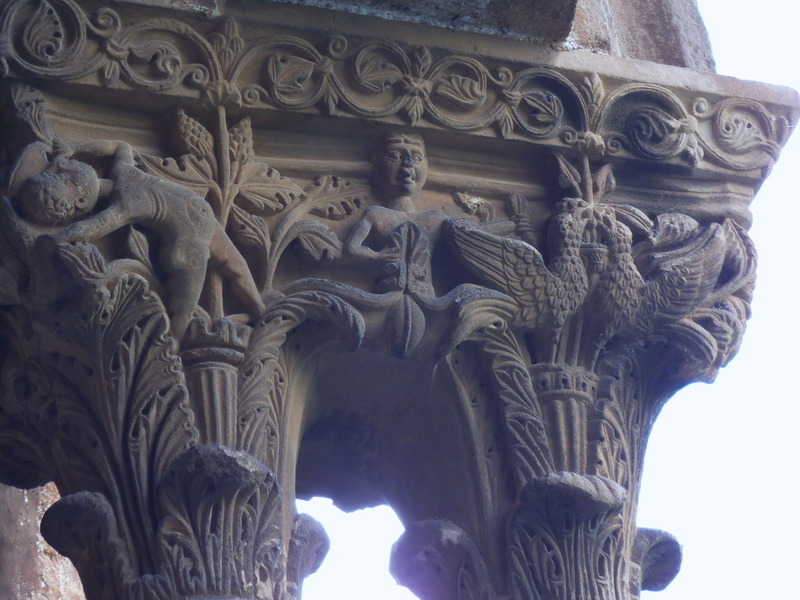 Some feature tradesmen, others depict animals, both real and mythical, and a few are rather sexual in nature. 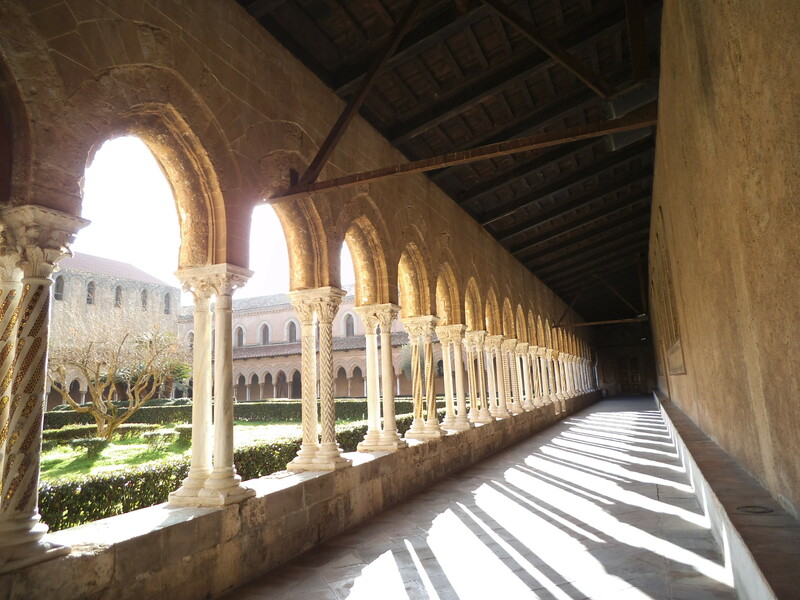 I’ve seen several beautiful cloisters in my travels but this is one of the best and I spent almost an hour in the tranquil space examining the capitals, amazed at the artistic skill of the men who produced them more than 800 years ago. 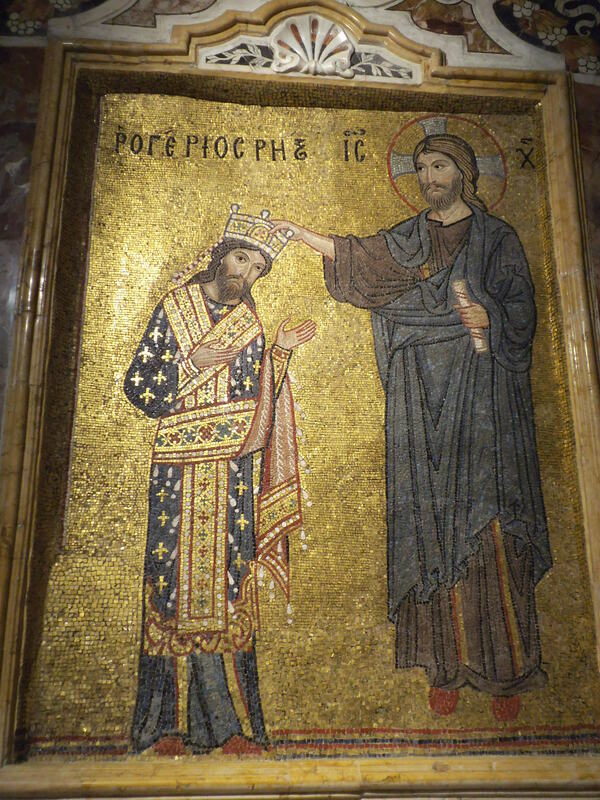 This entry was posted in Italy, Religion and tagged church, European Nomad, europenomad, Italy, Monreale, Palermo, Sicily, William II on January 31, 2017 by A Nomad.